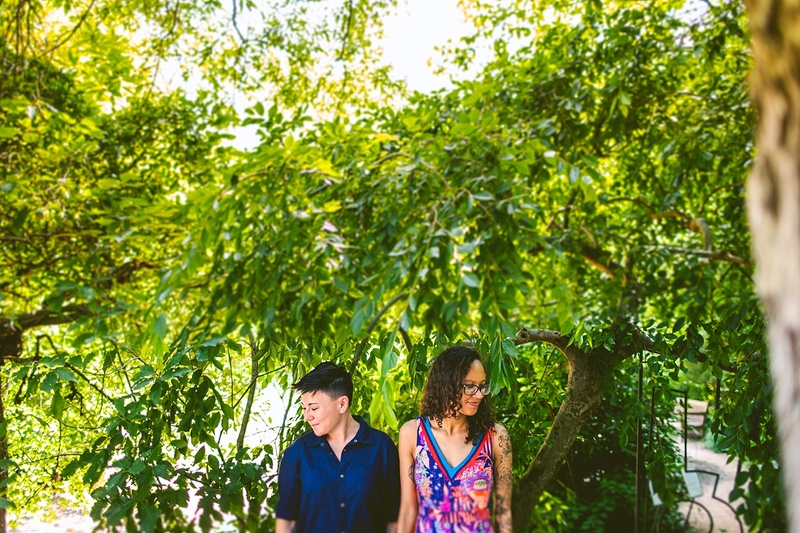 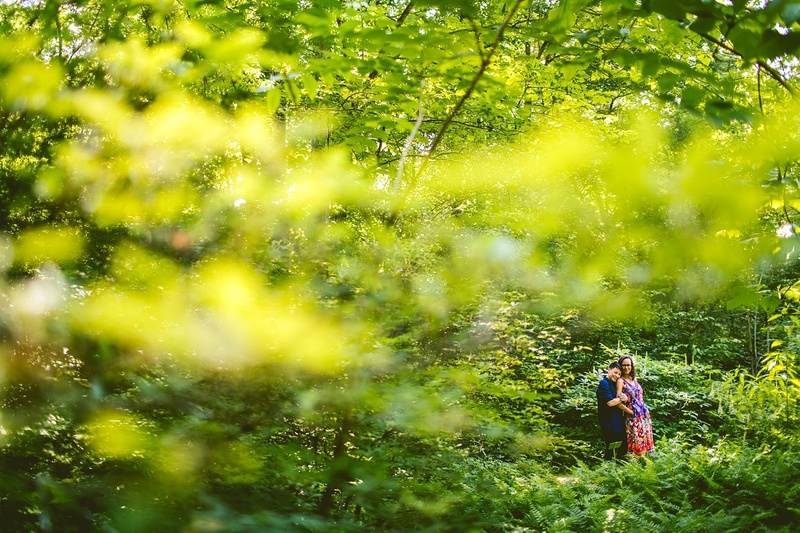 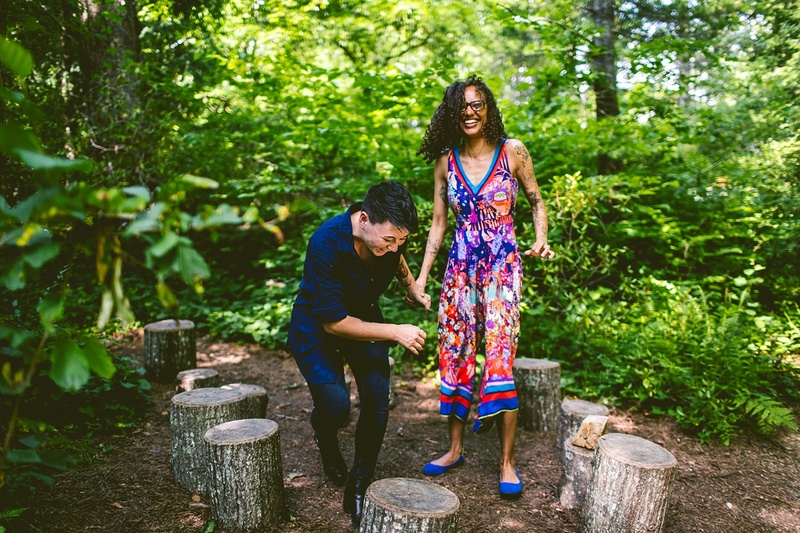 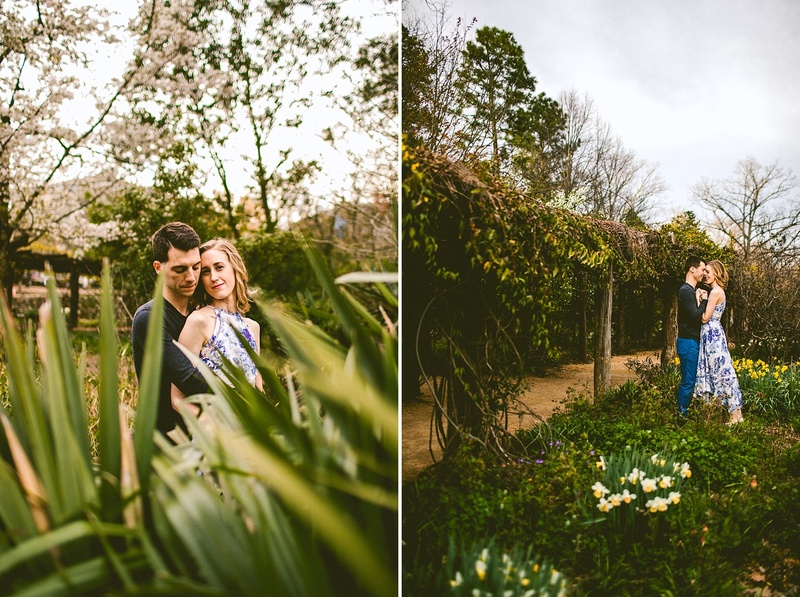 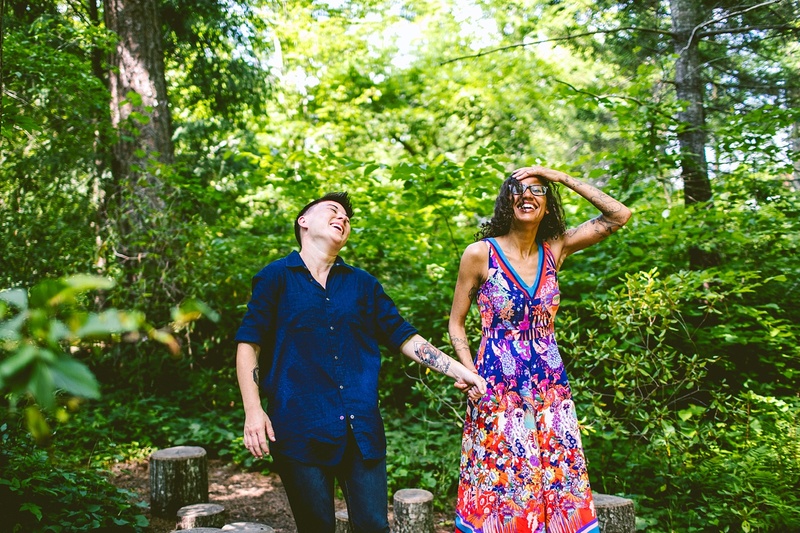 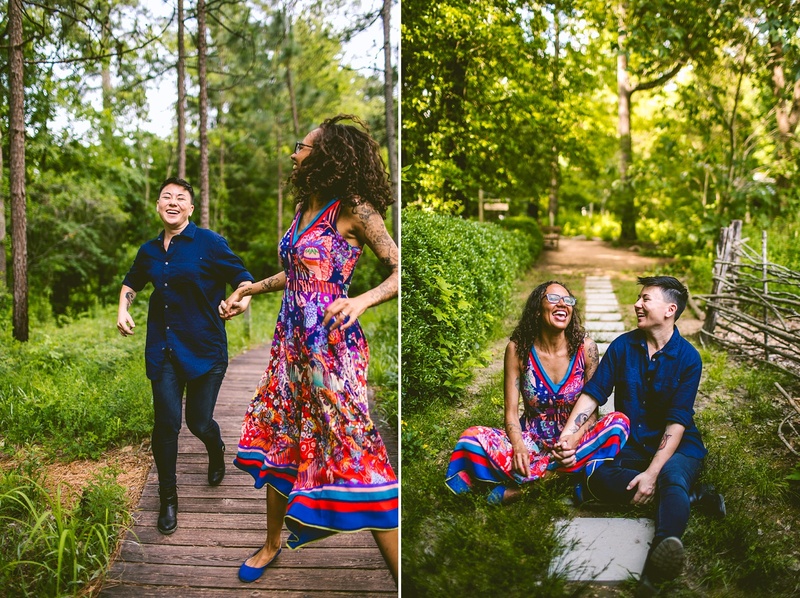 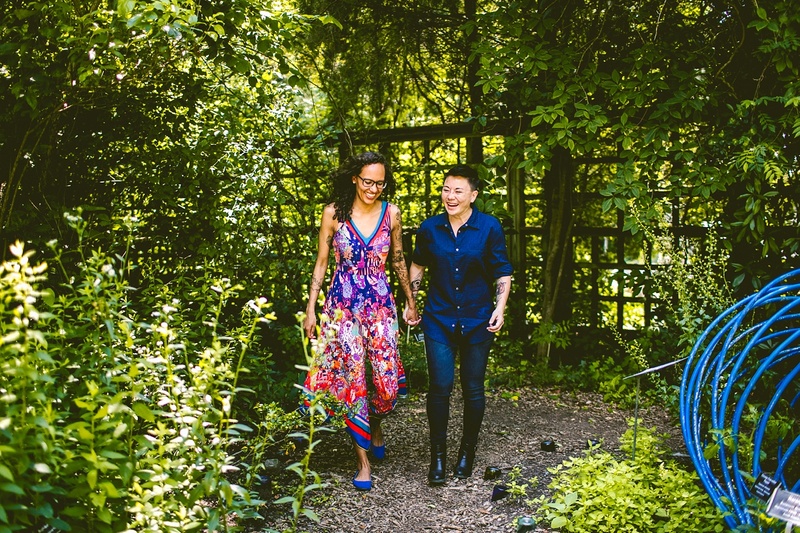 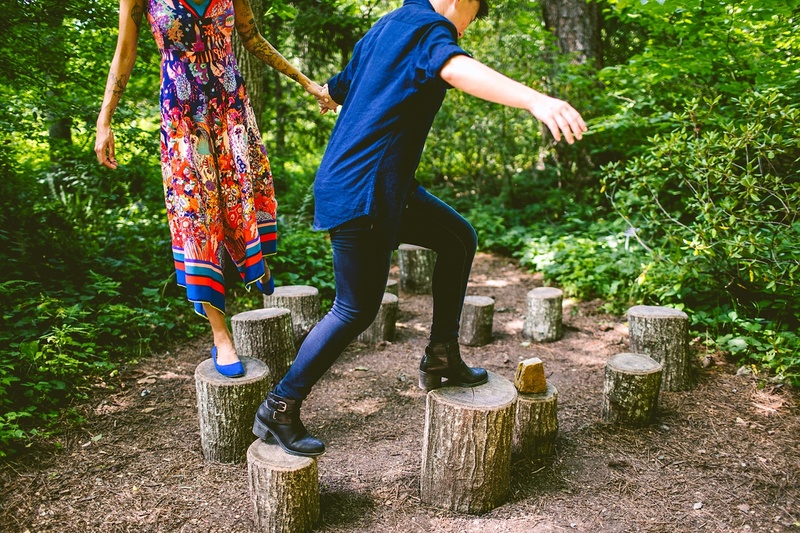 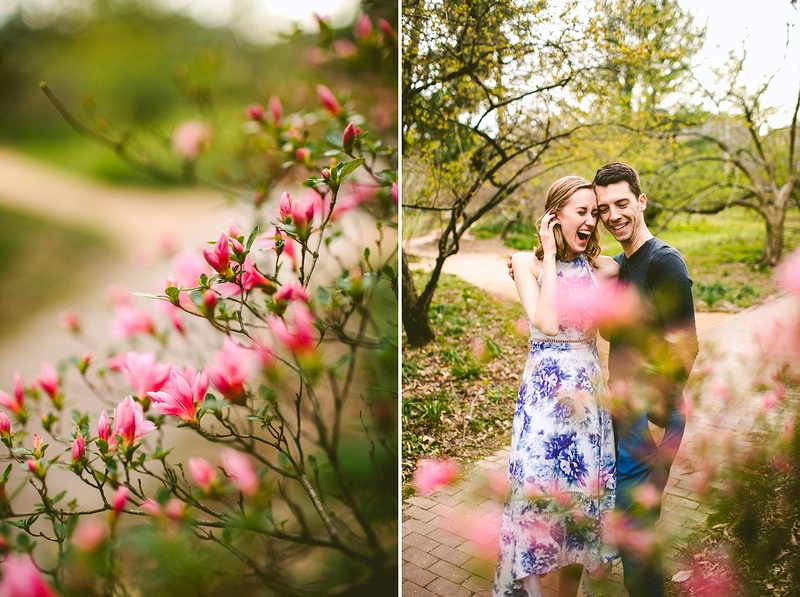 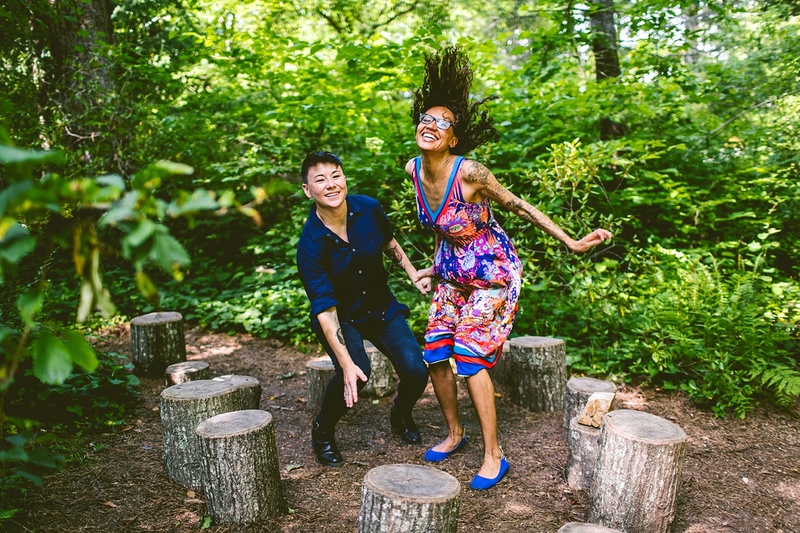 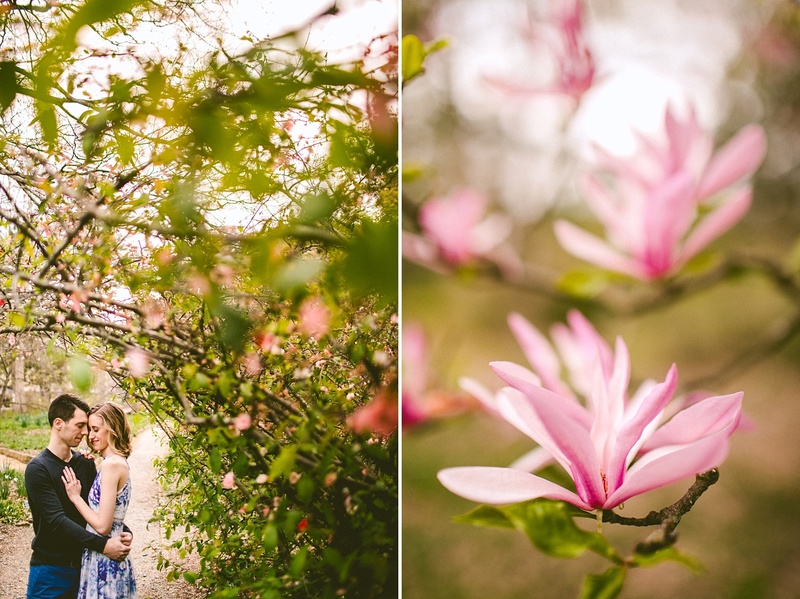 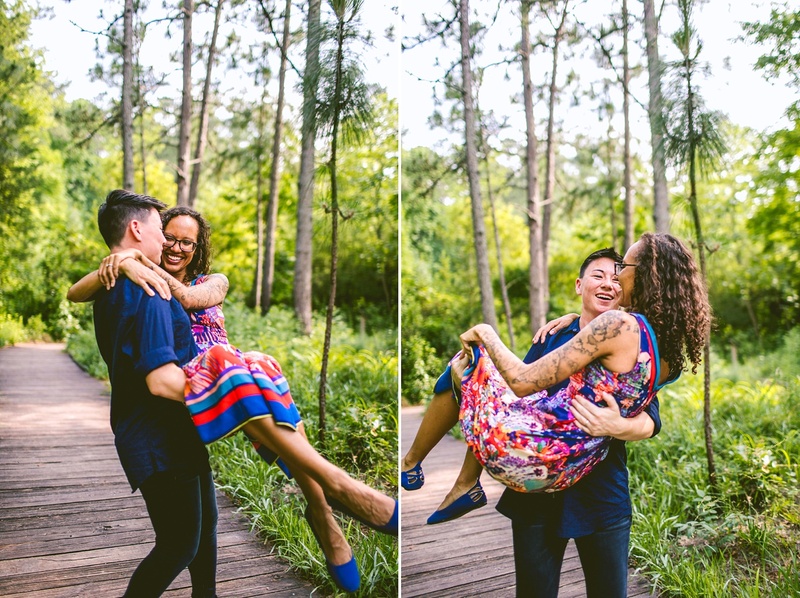 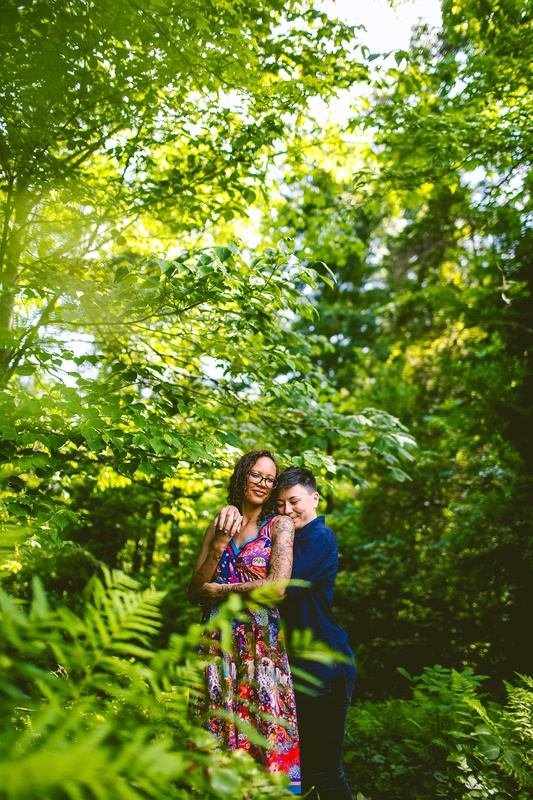 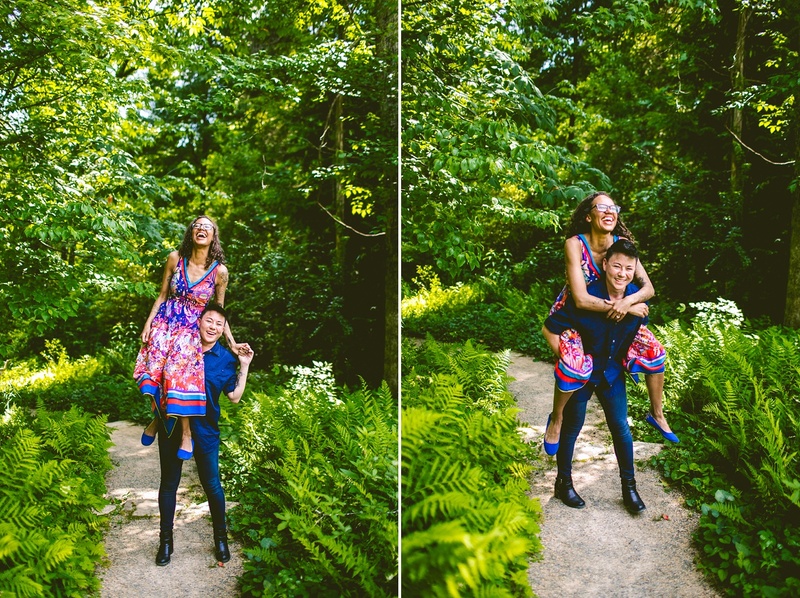 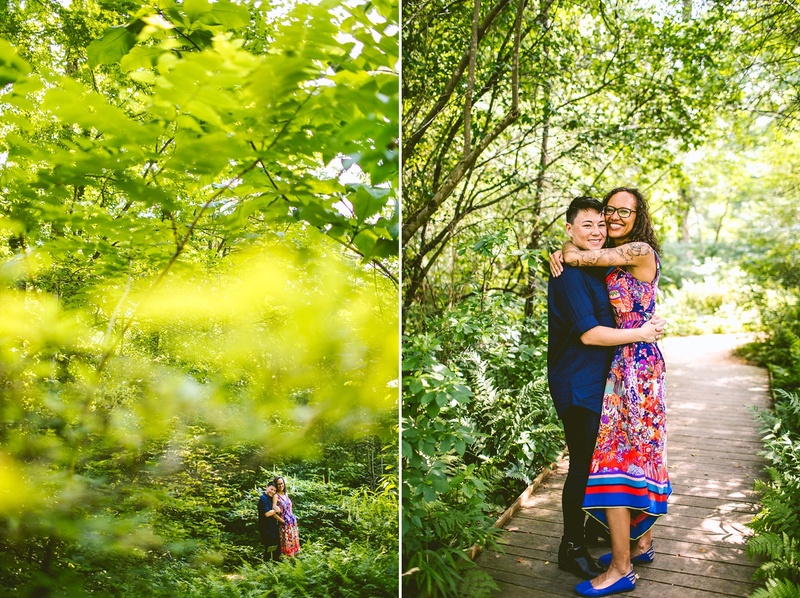 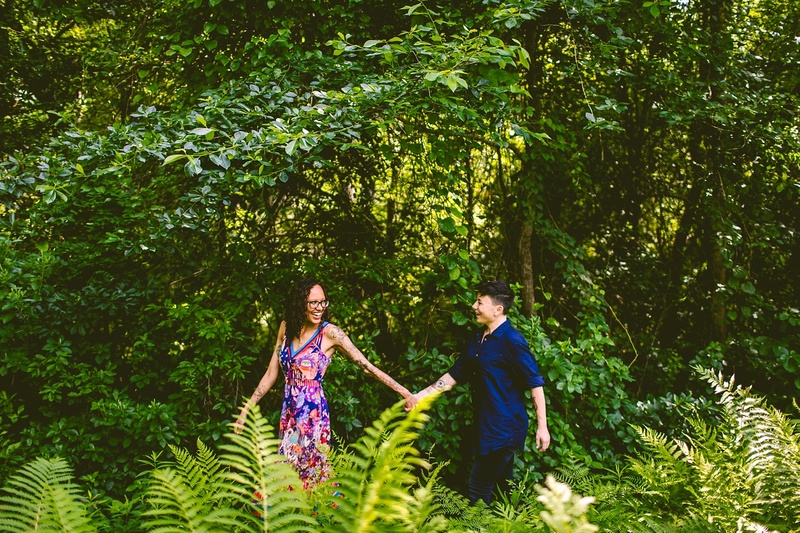 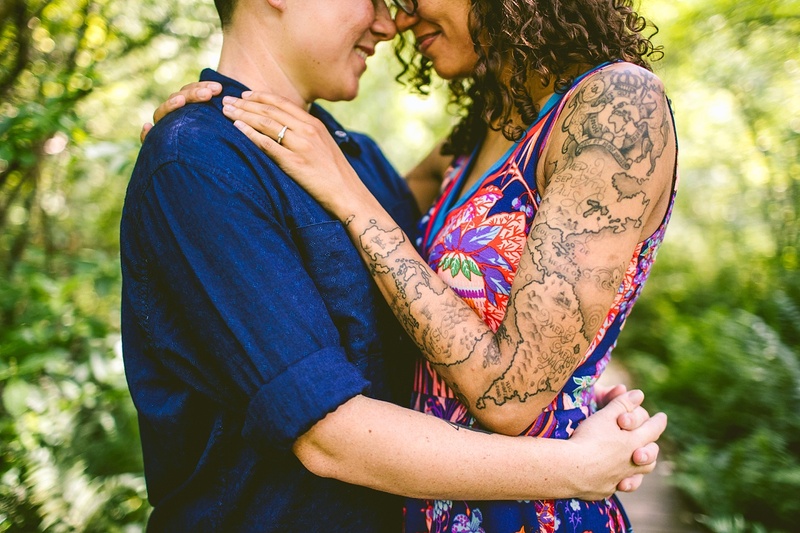 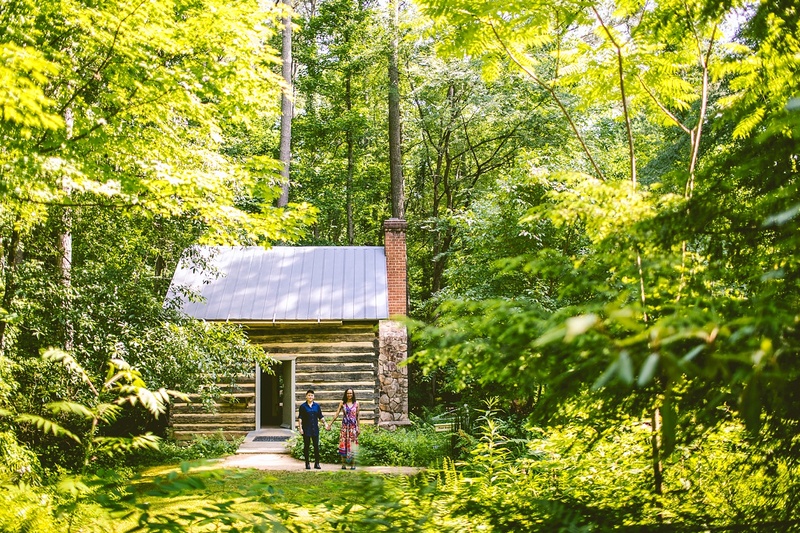 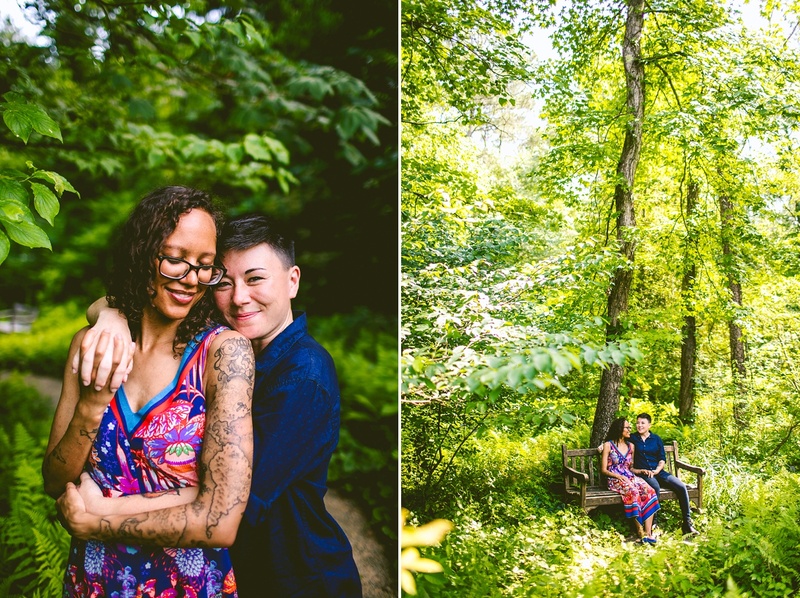 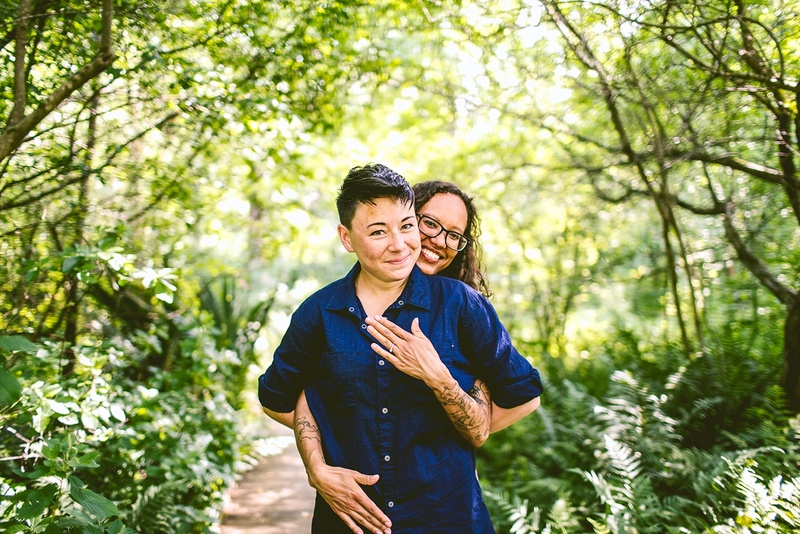 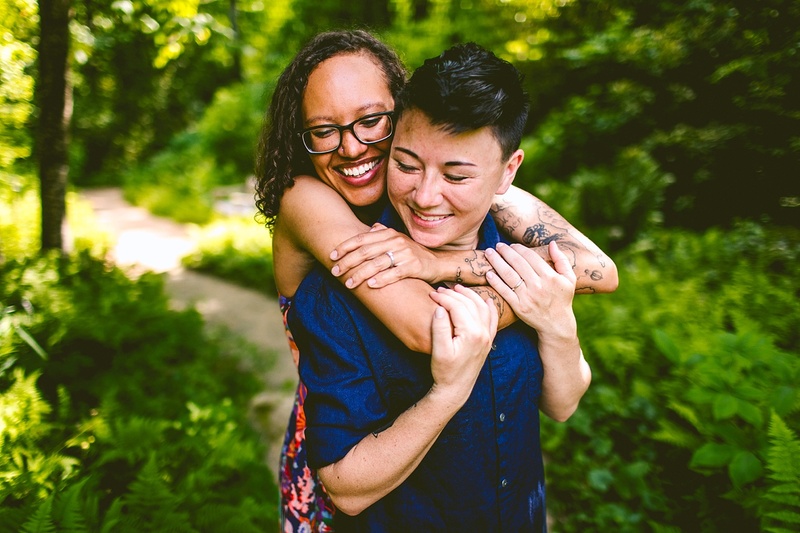 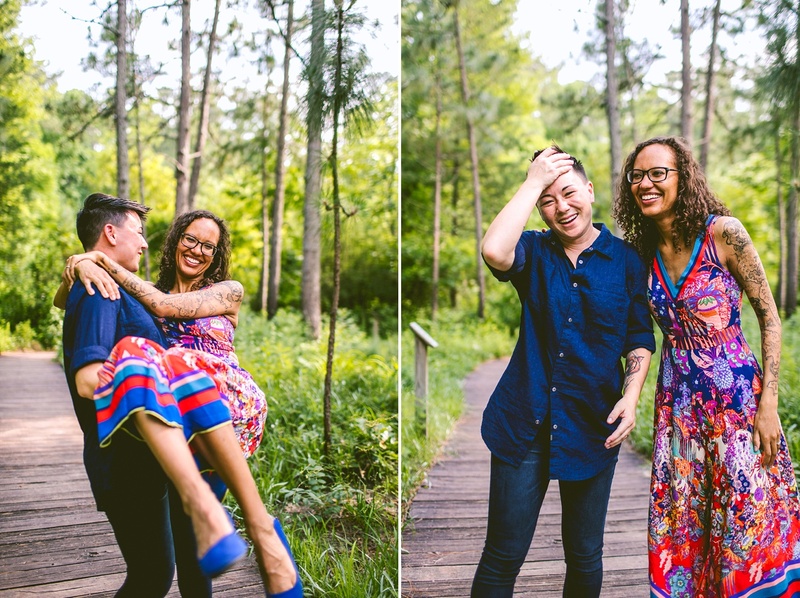 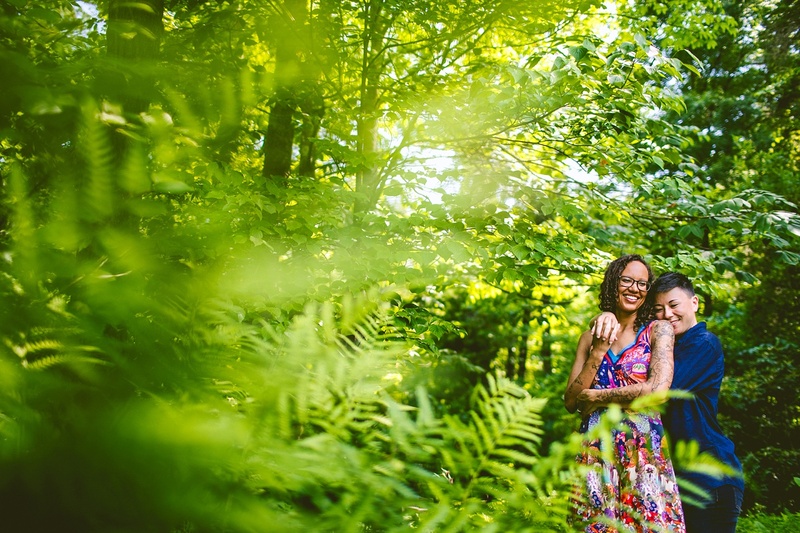 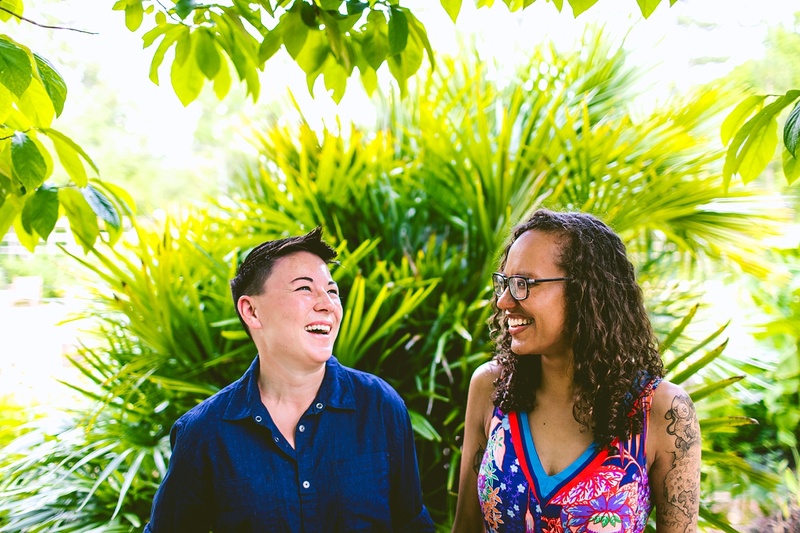 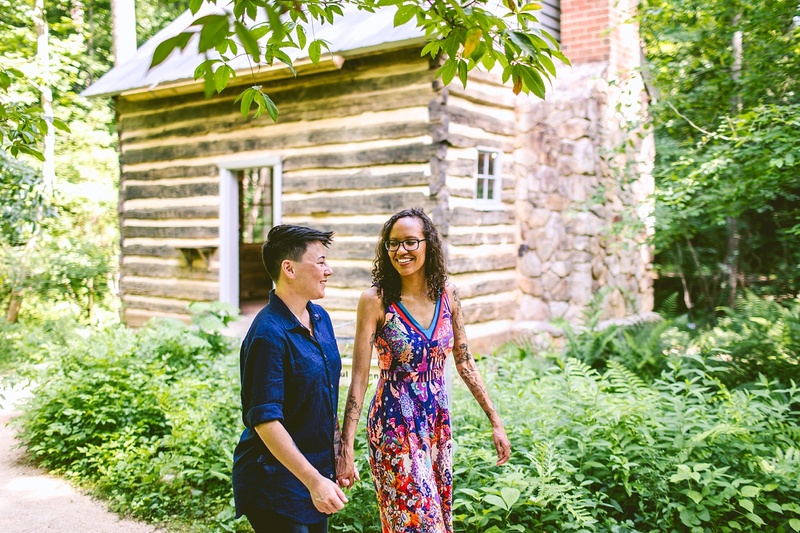 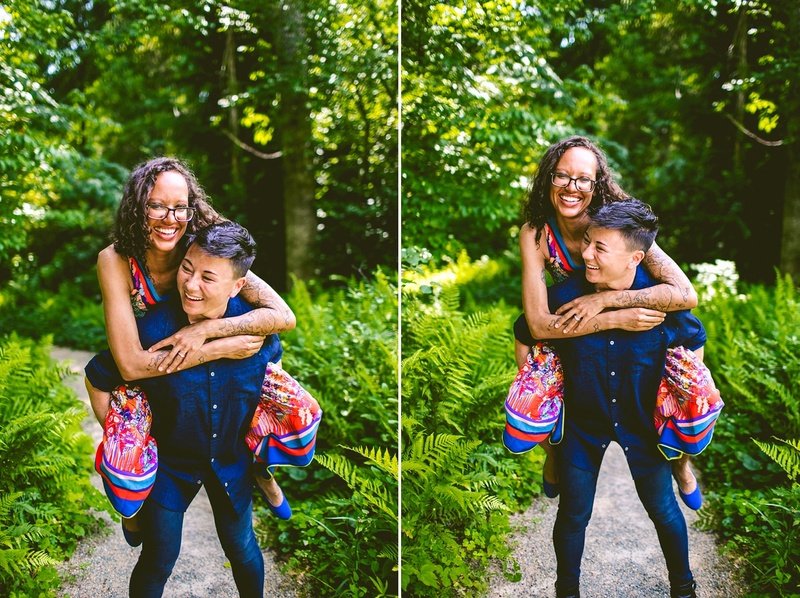 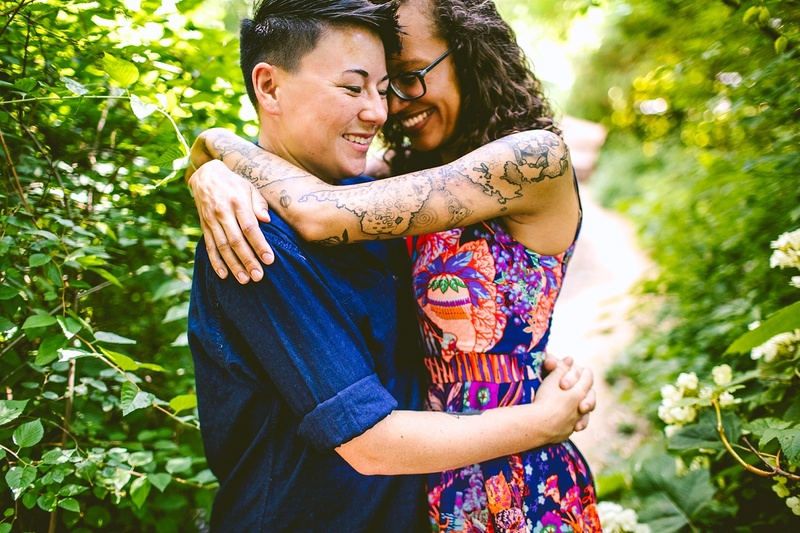 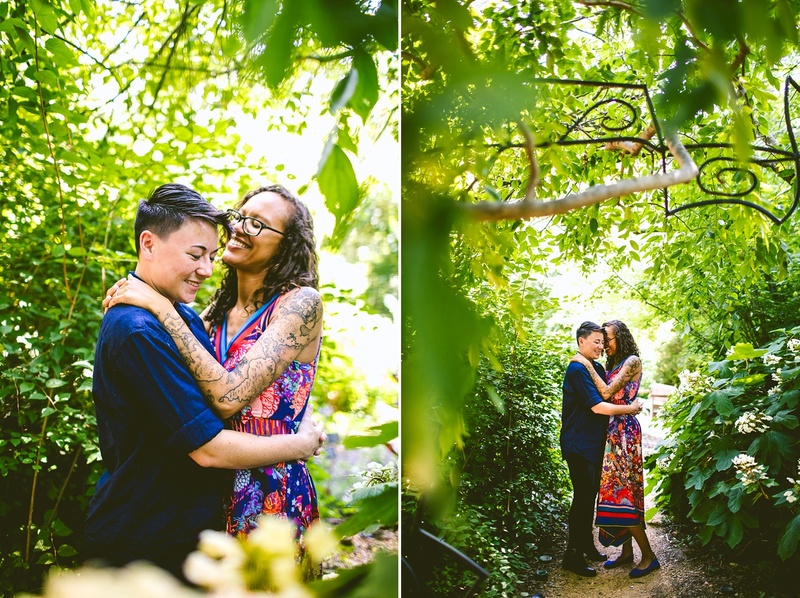 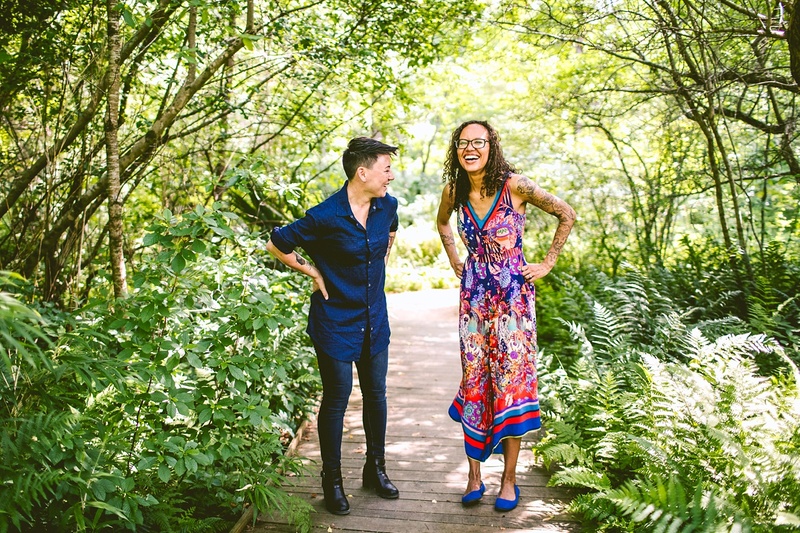 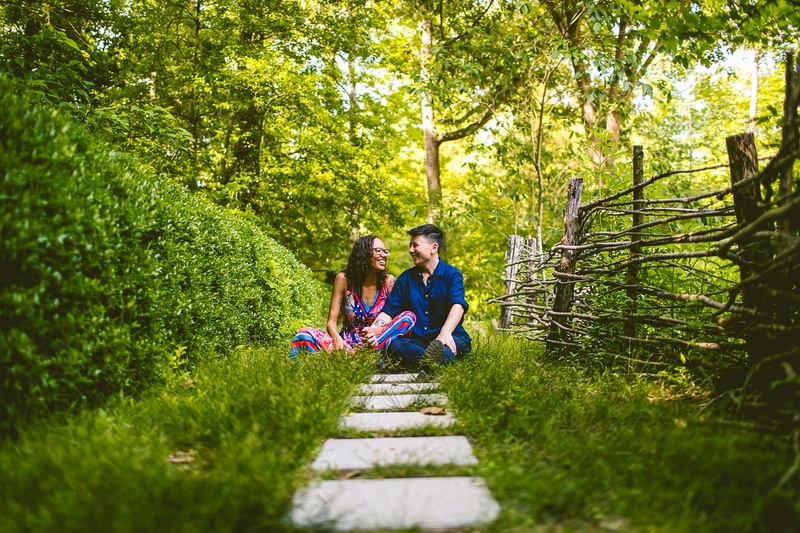 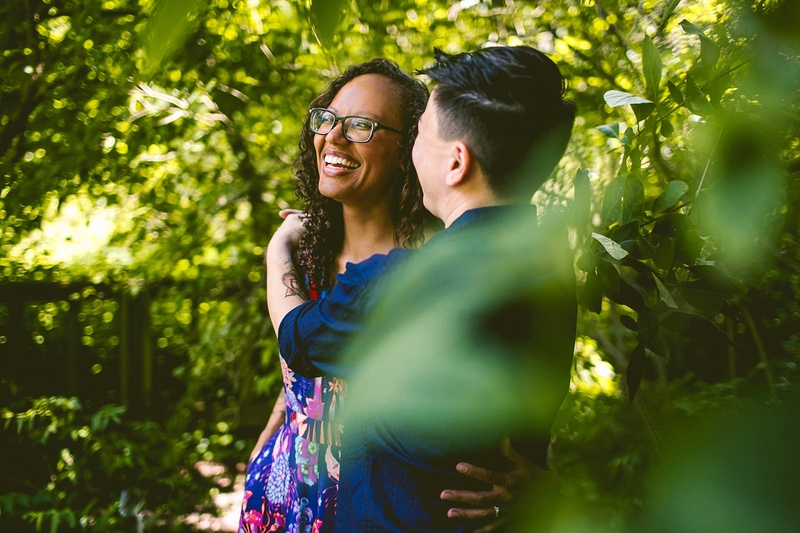 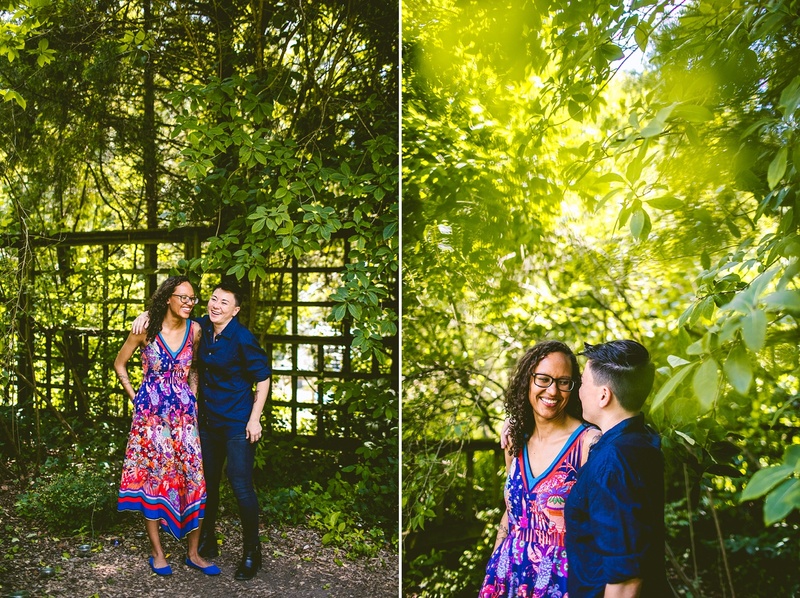 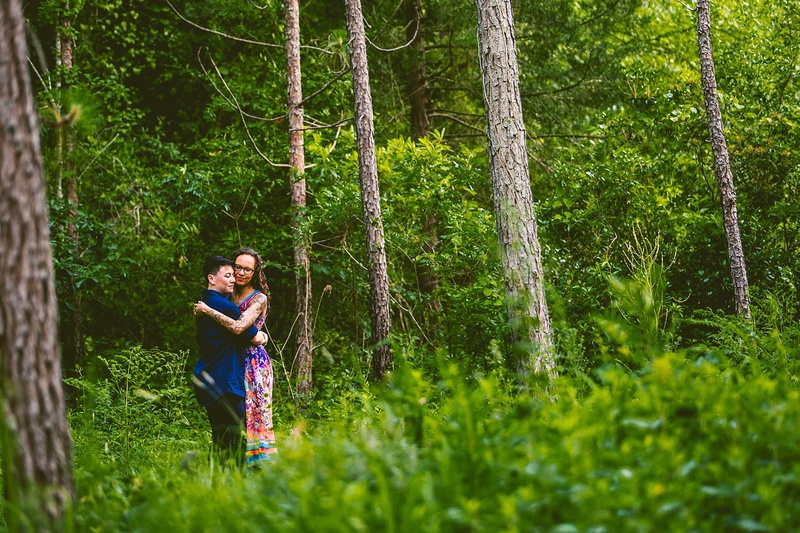 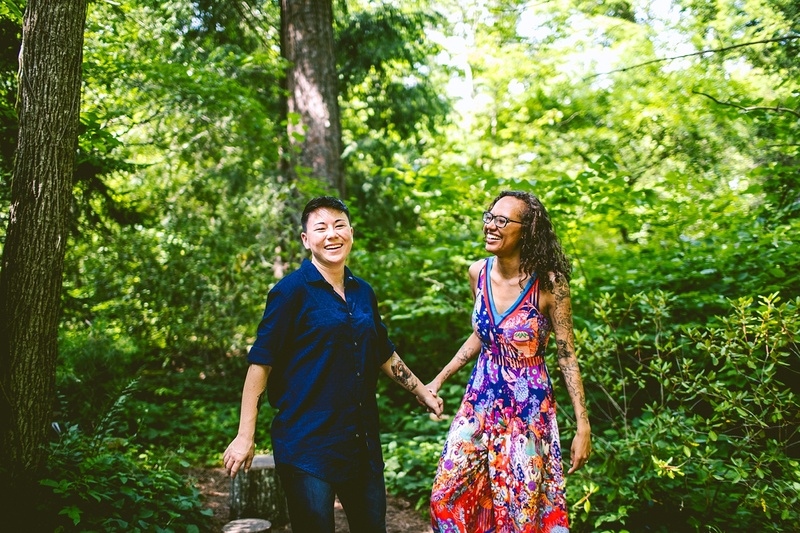 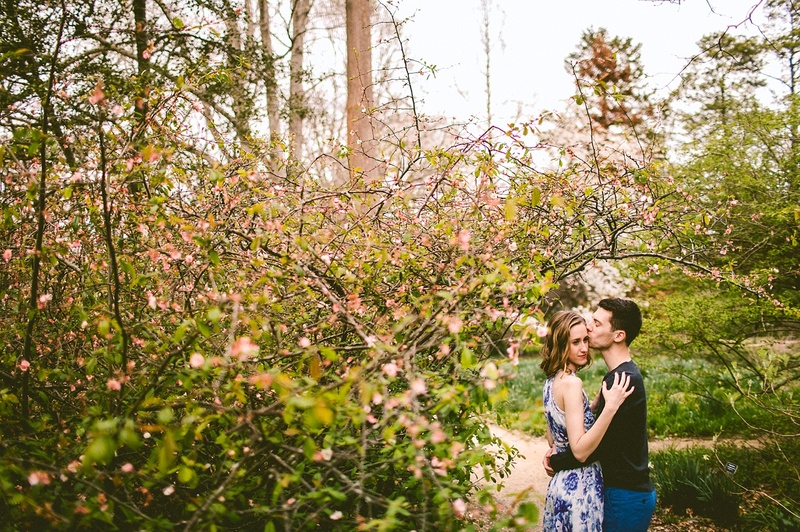 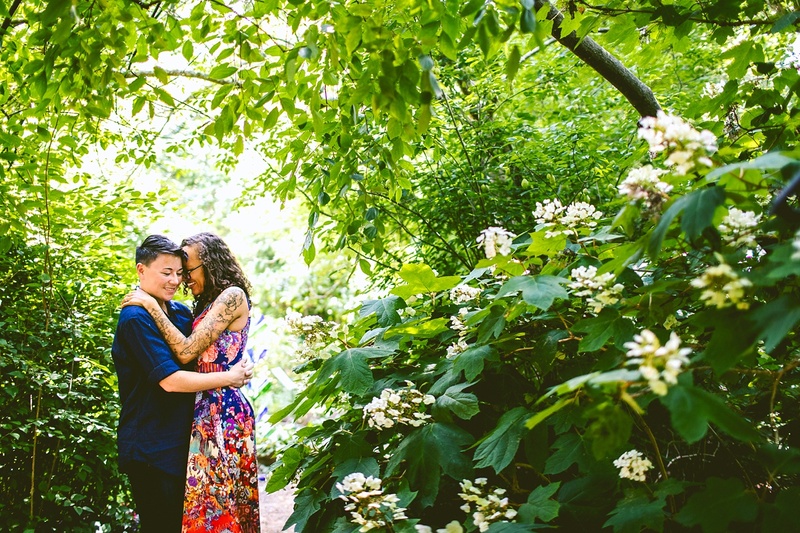 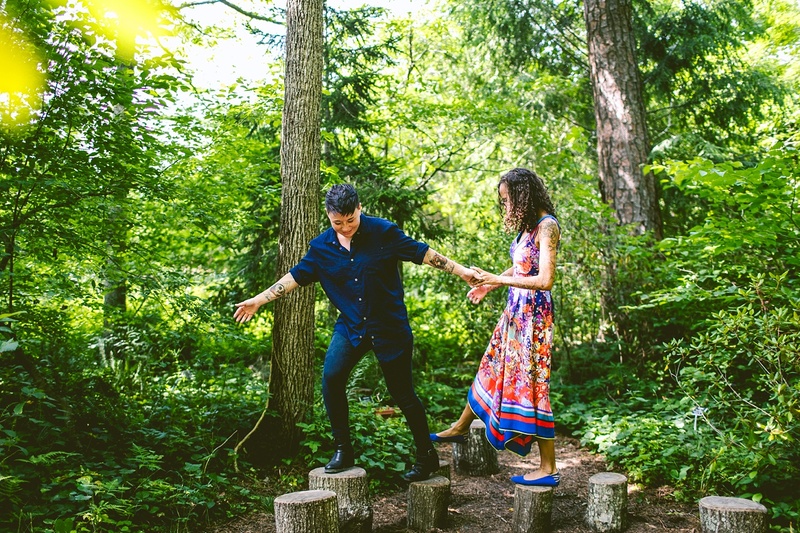 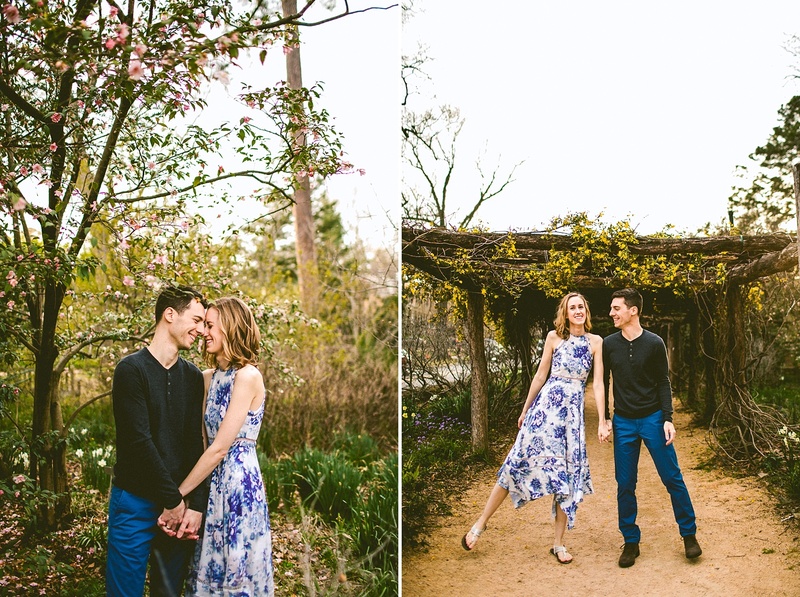 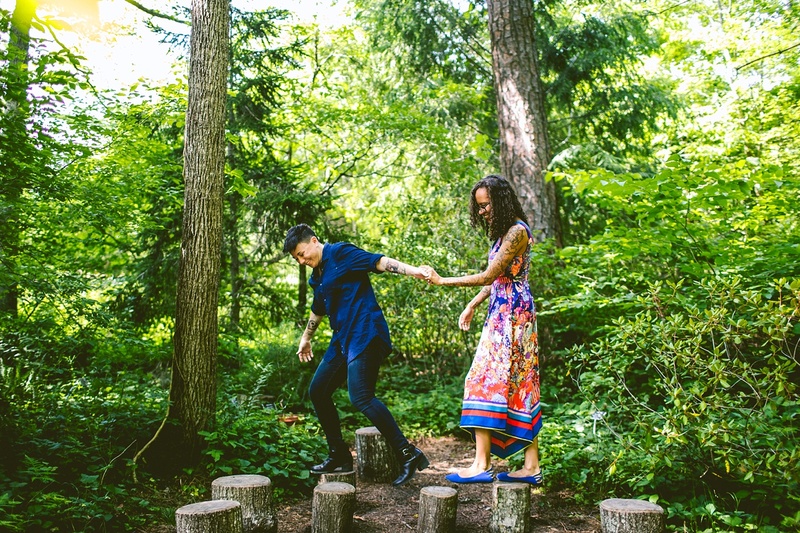 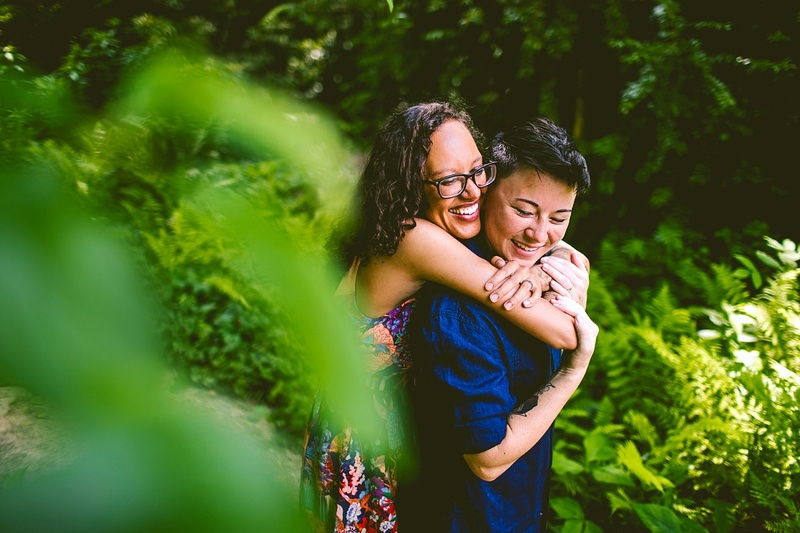 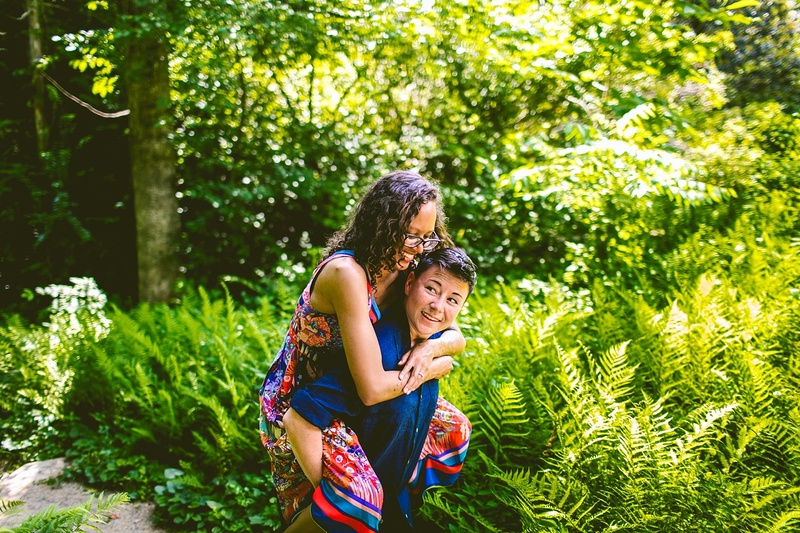 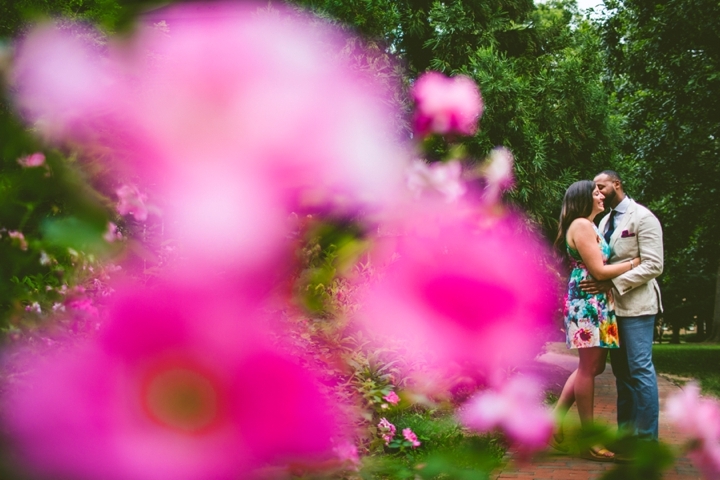 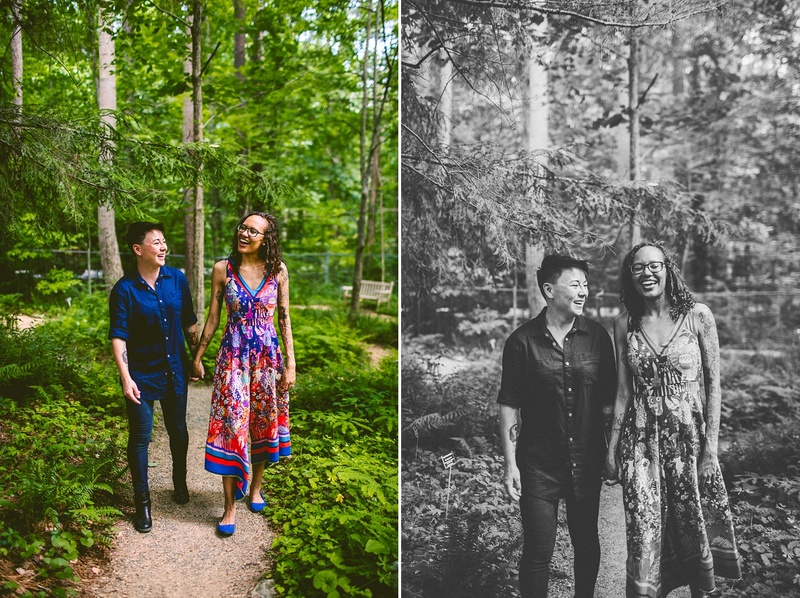 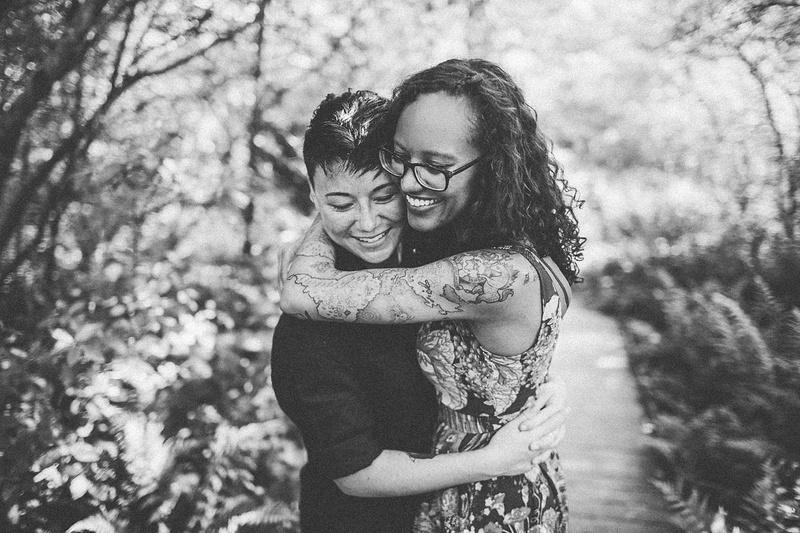 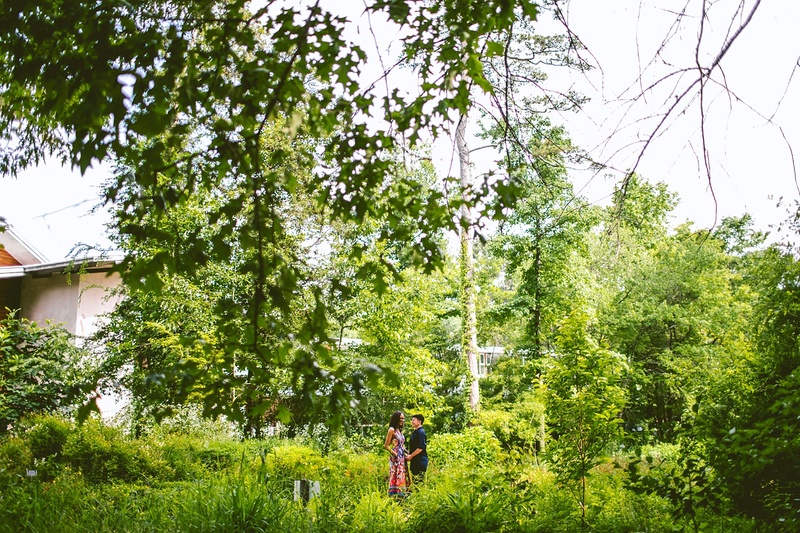 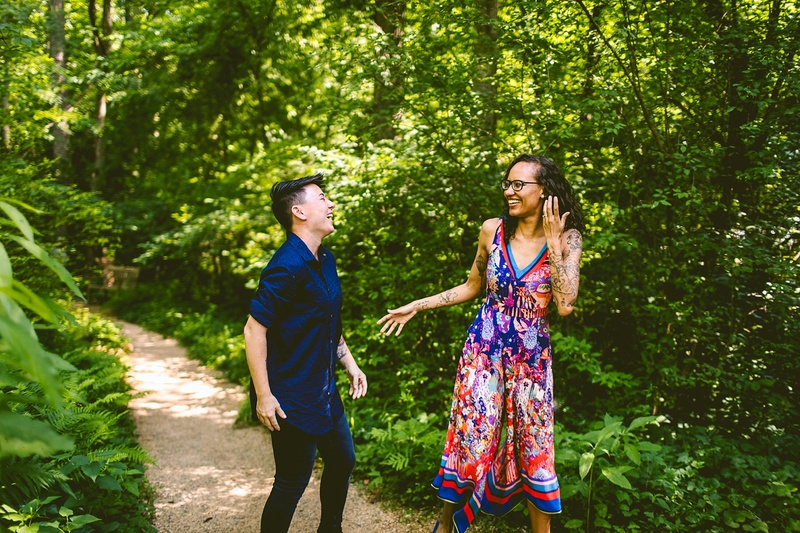 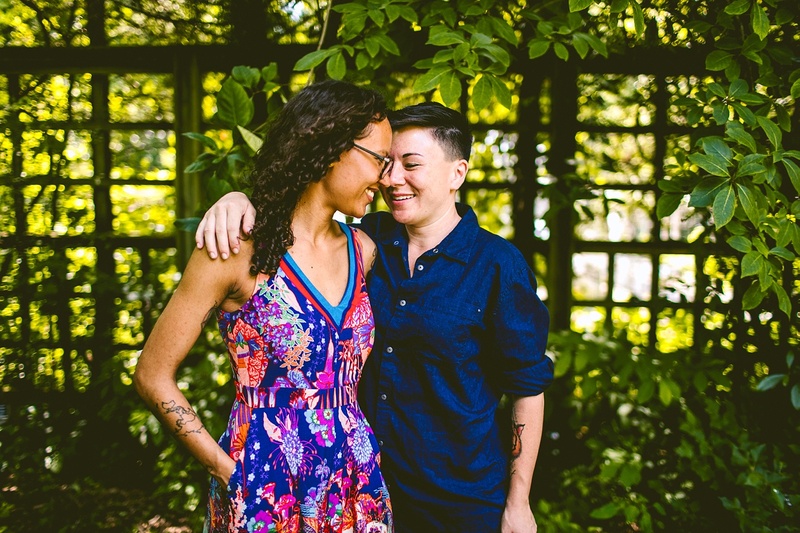 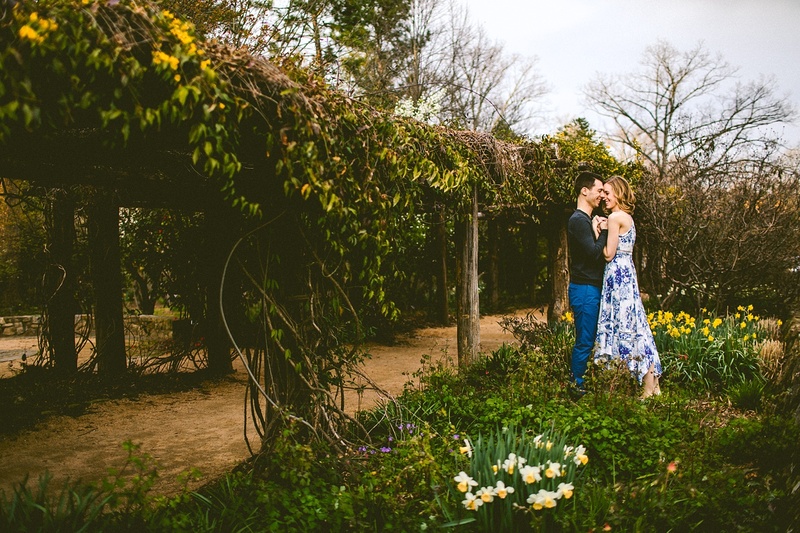 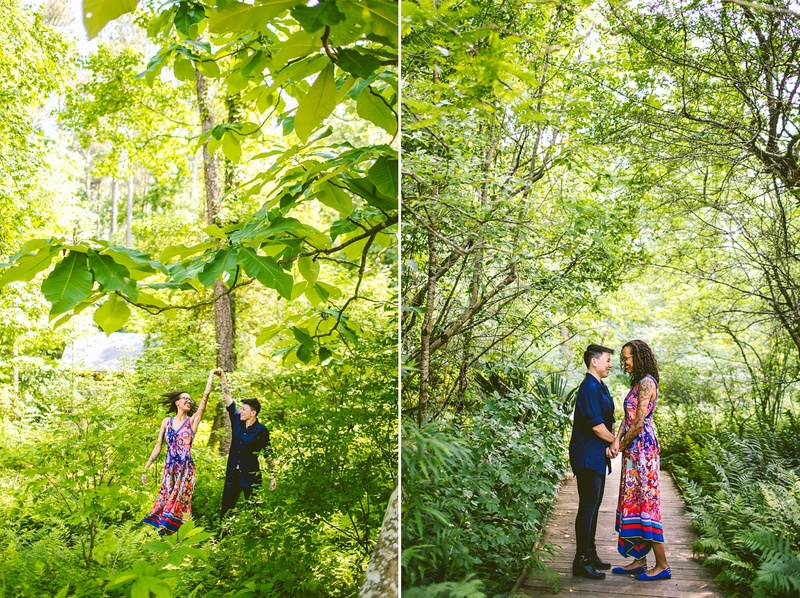 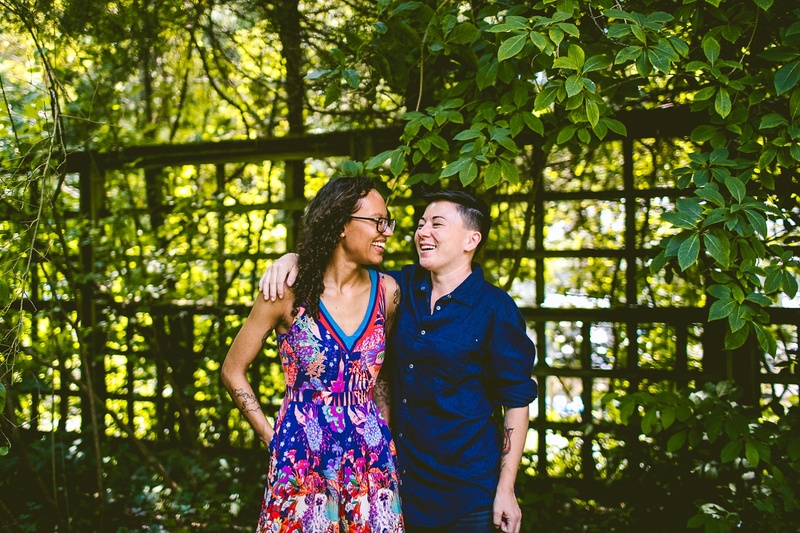 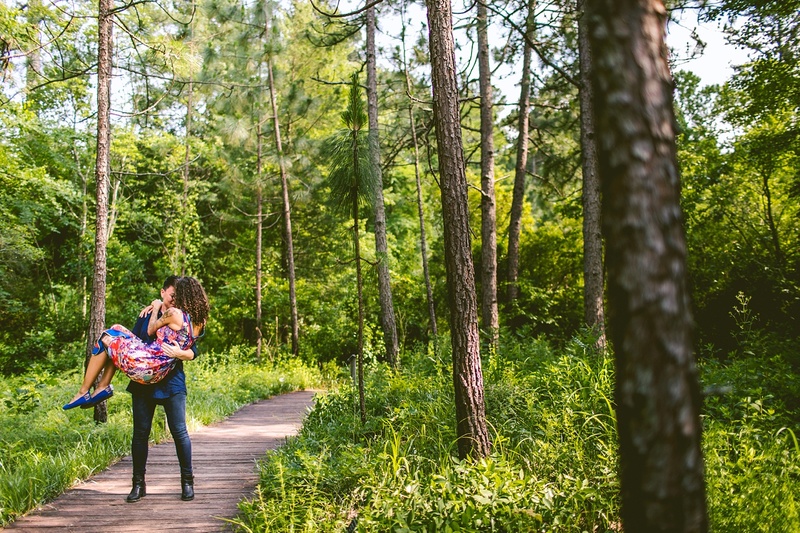 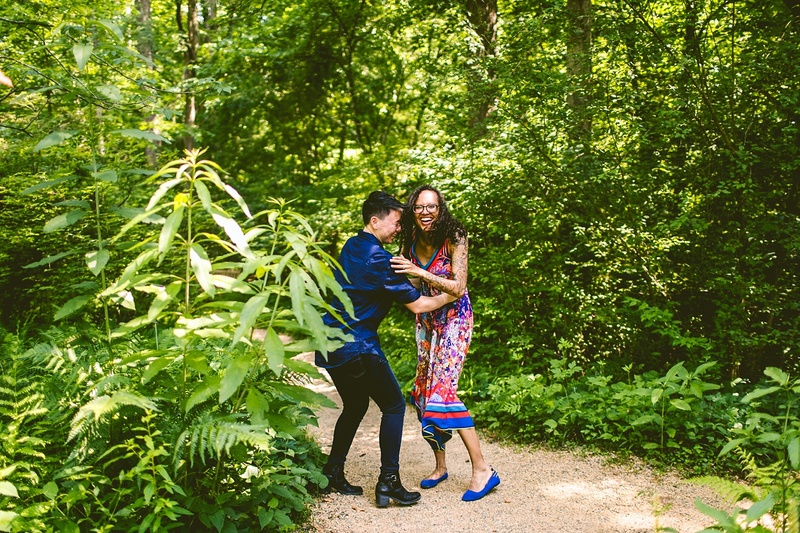 Caitlyn and Jasmine joined us at the NC Botanical Gardens in Chapel Hill for their engagement session, which was 90% getting bit by mosquitos, 8% asking them a lot of questions about their awesome tattoos, and 2% admiring Jasmine’s fabulous British accent. 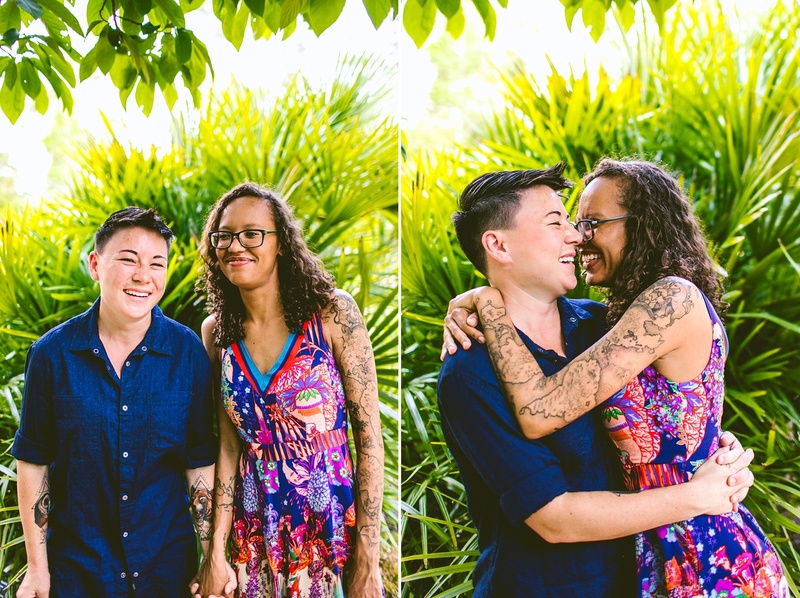 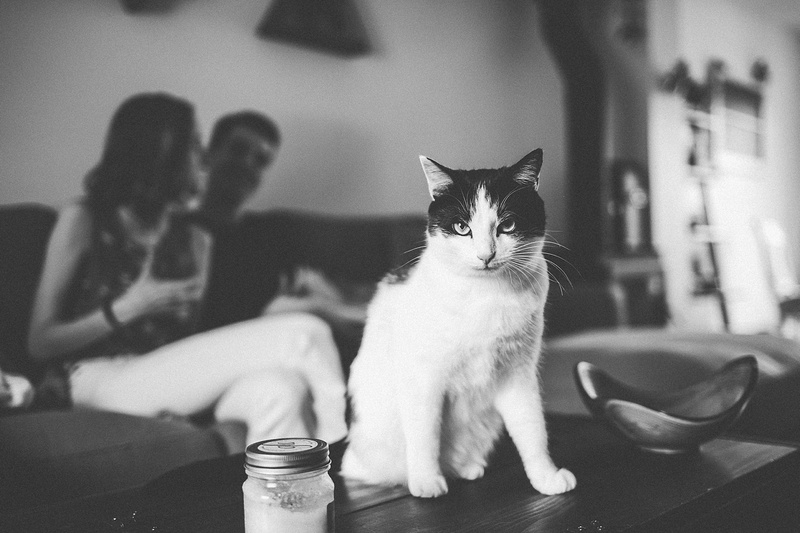 Jasmine grew up in England, but soon moved to California where she met Caitlyn. 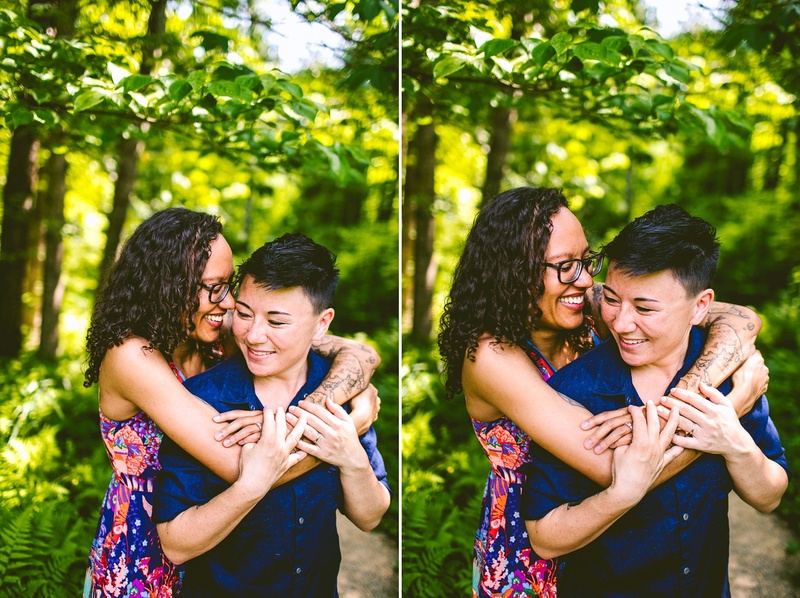 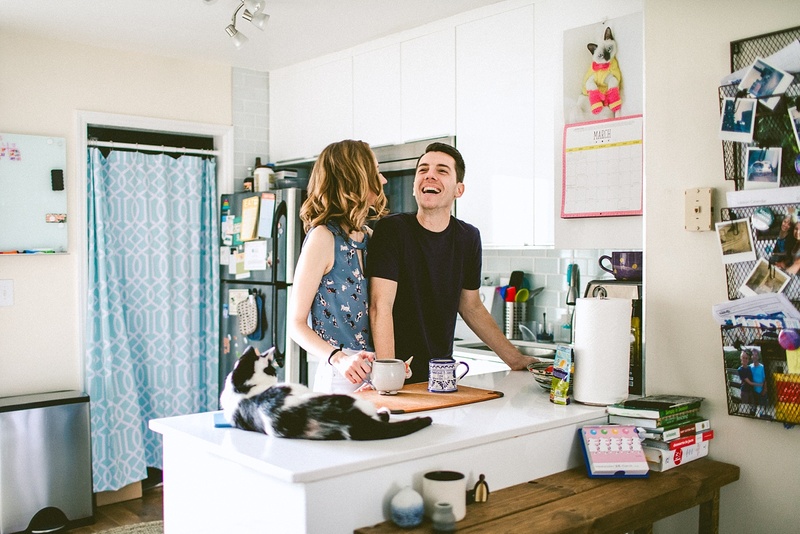 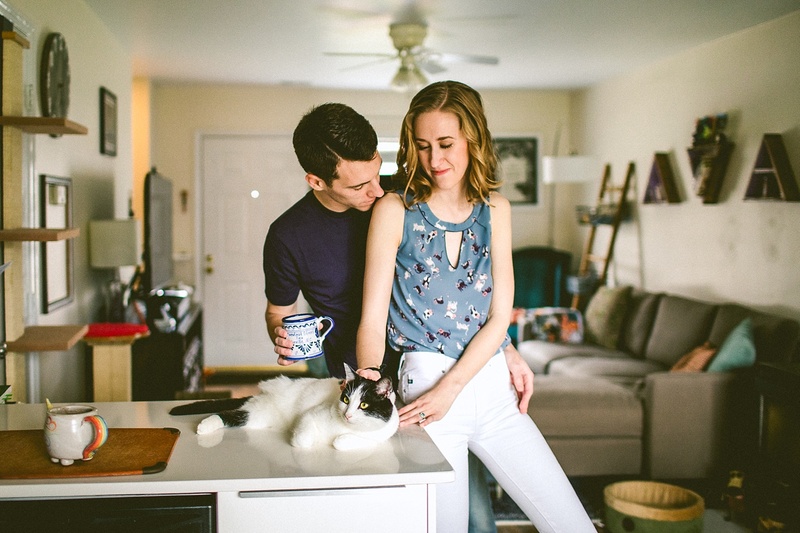 They lived on the same street since they were in middle school, where Caitlyn was pleasantly surprised to learn that Jasmine and her family did indeed take breaks during the day for tea. 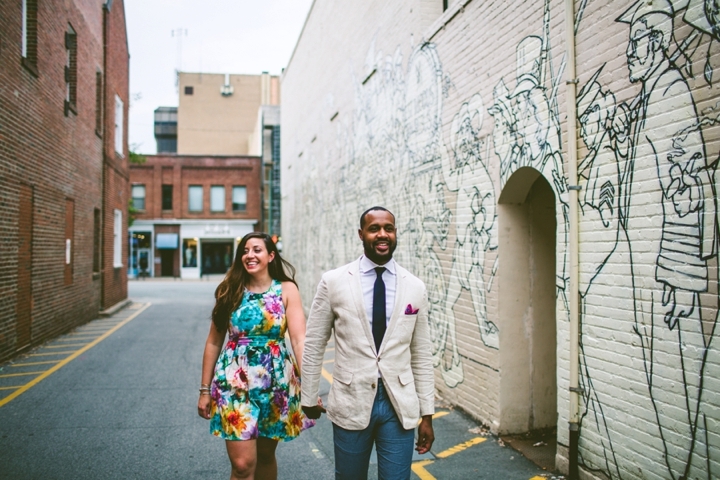 They are well traveled, having been to many different countries separately and together. 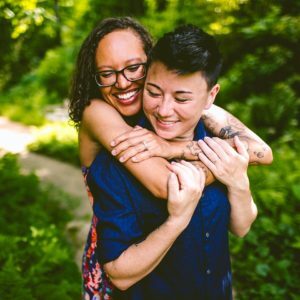 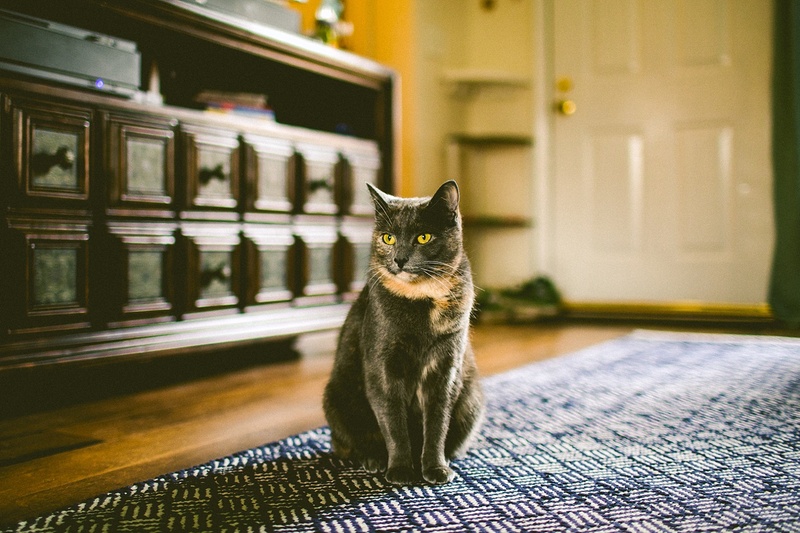 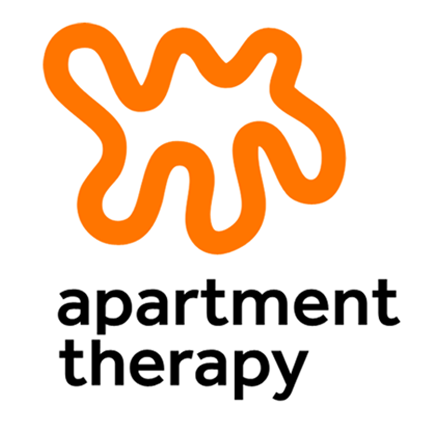 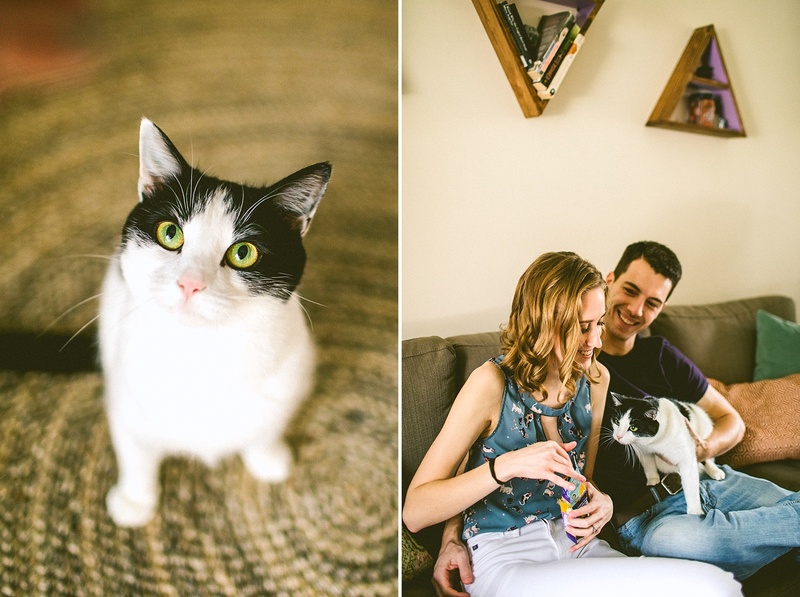 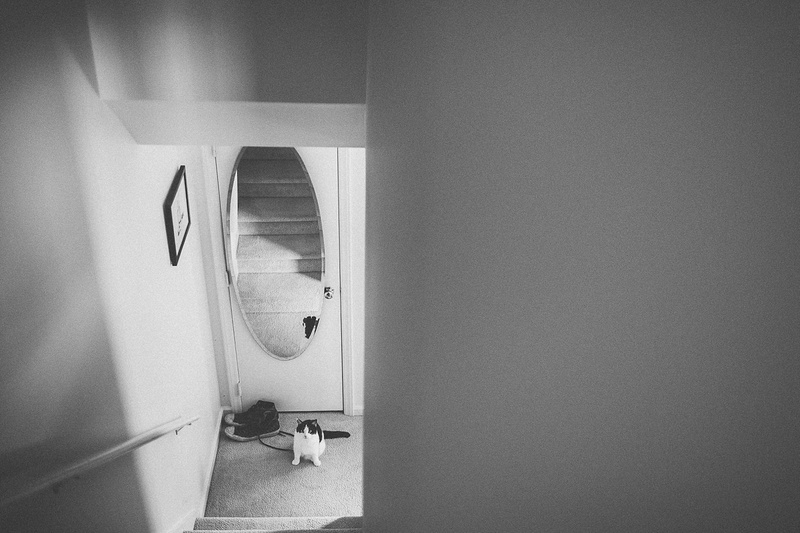 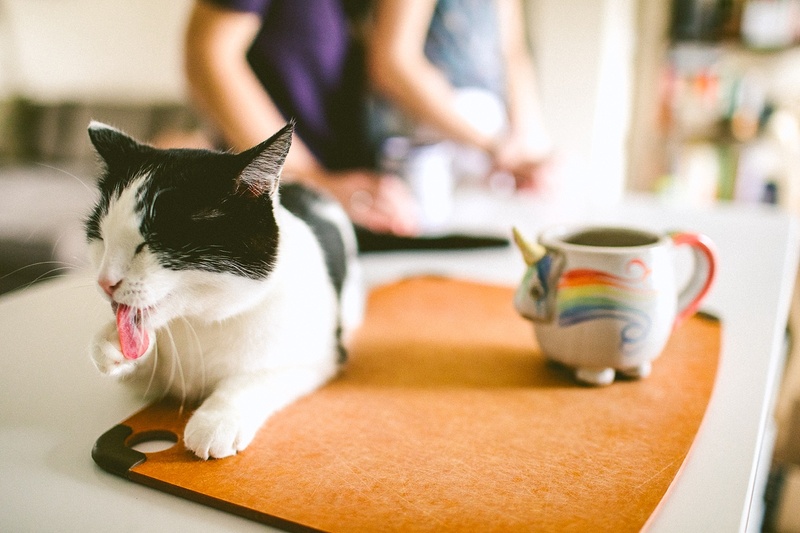 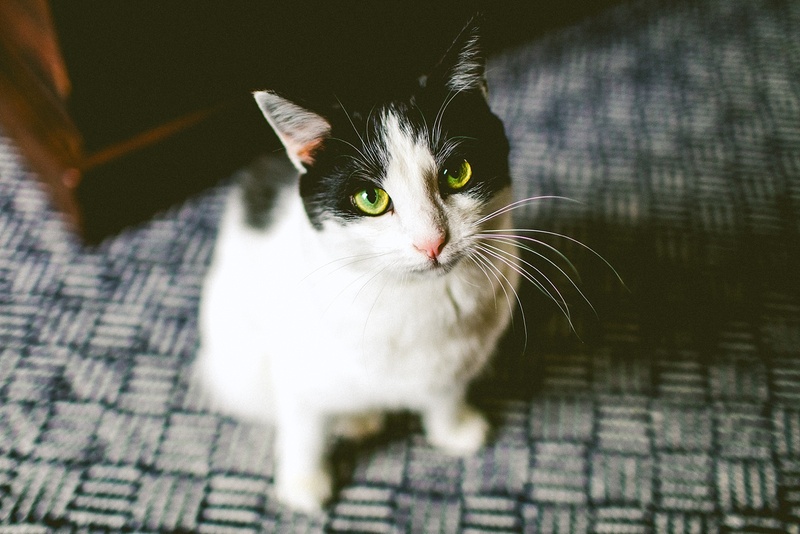 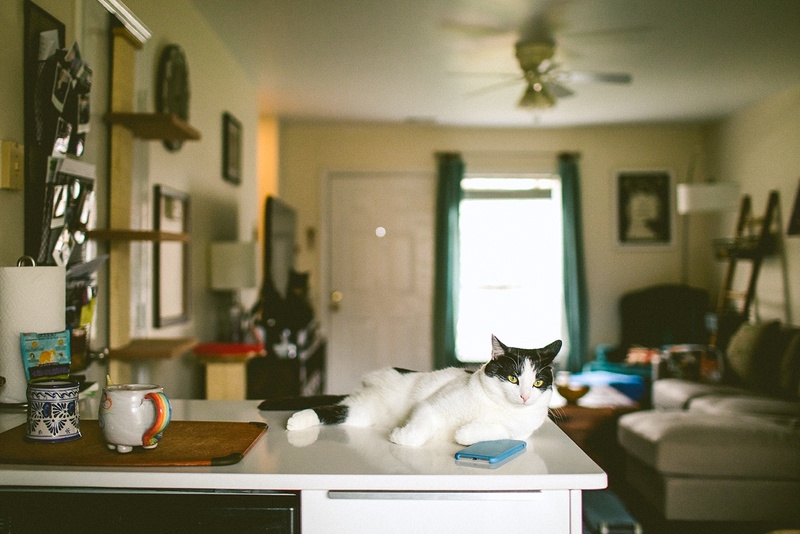 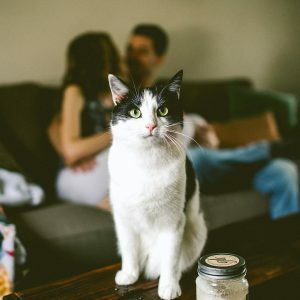 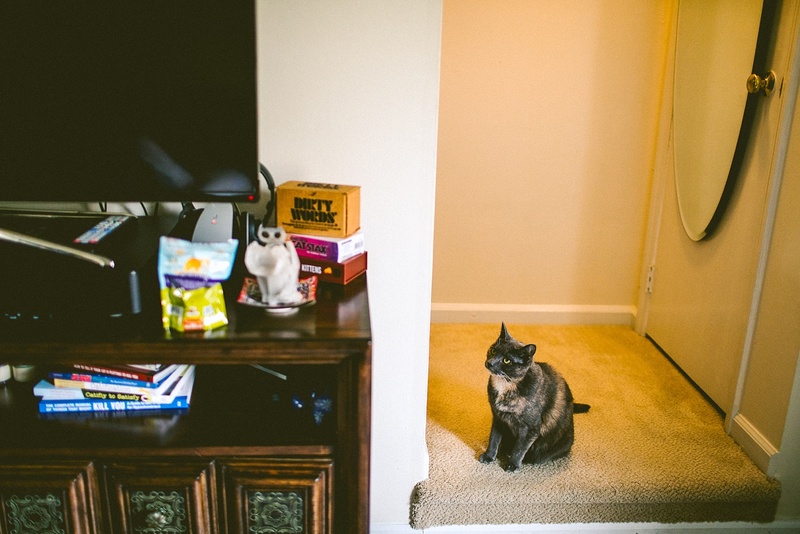 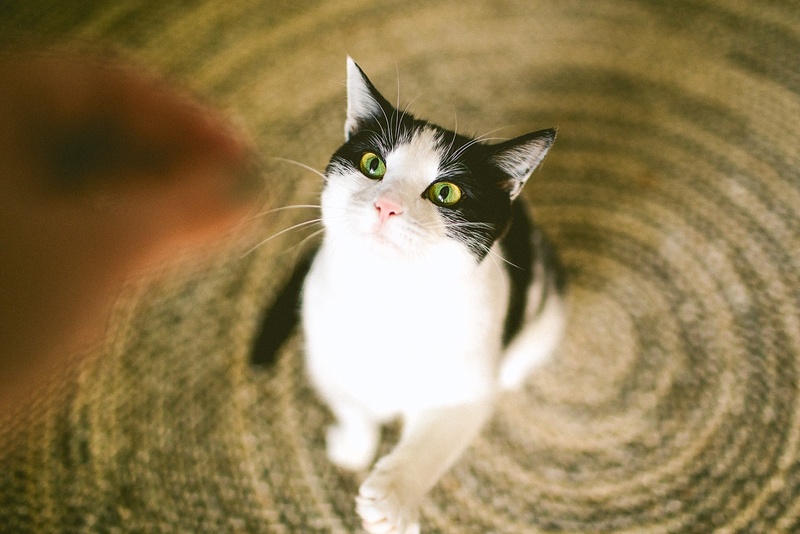 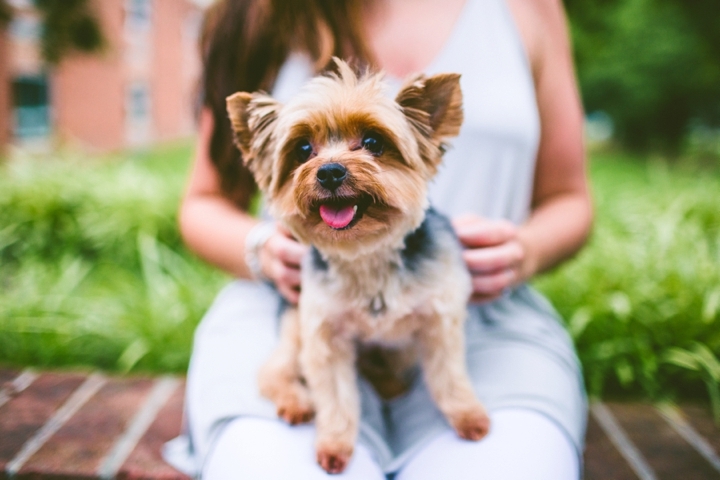 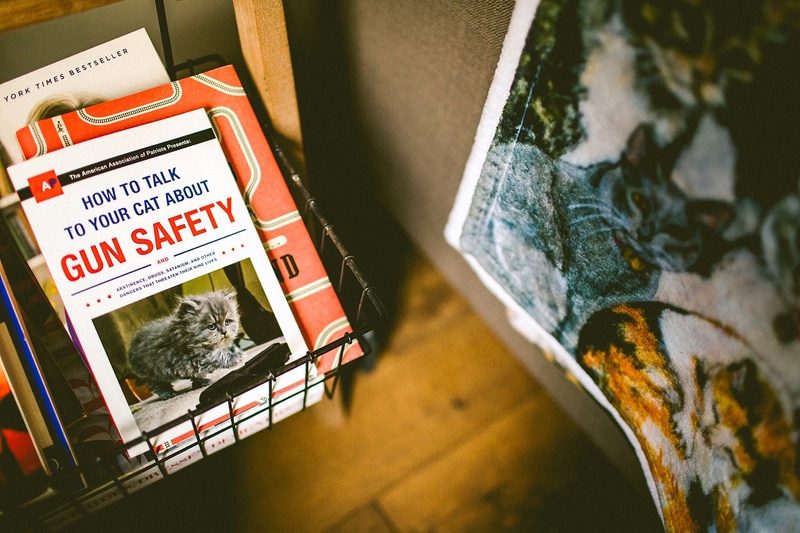 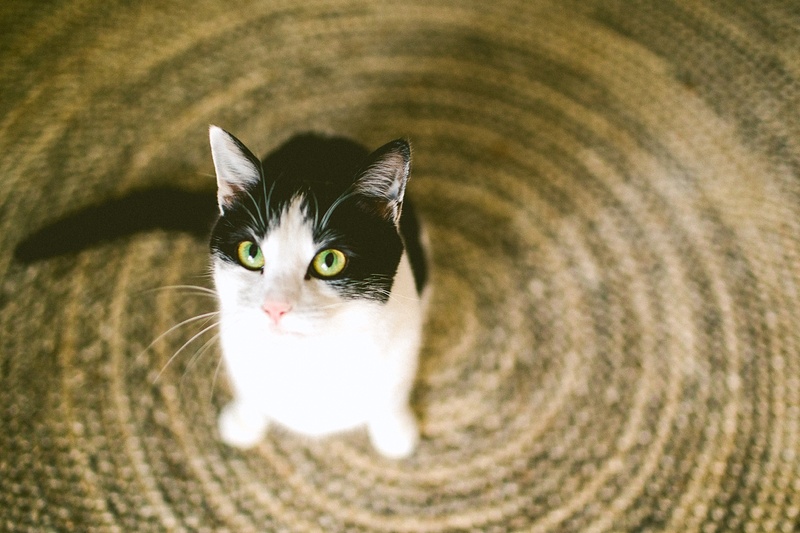 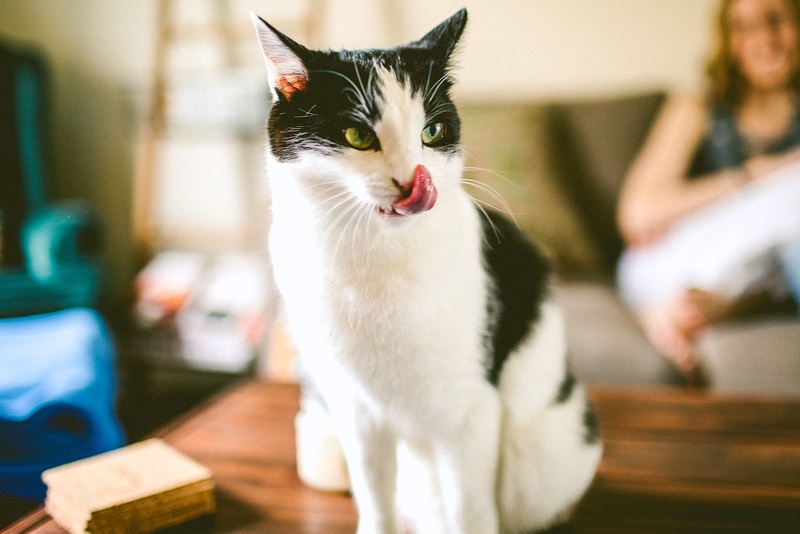 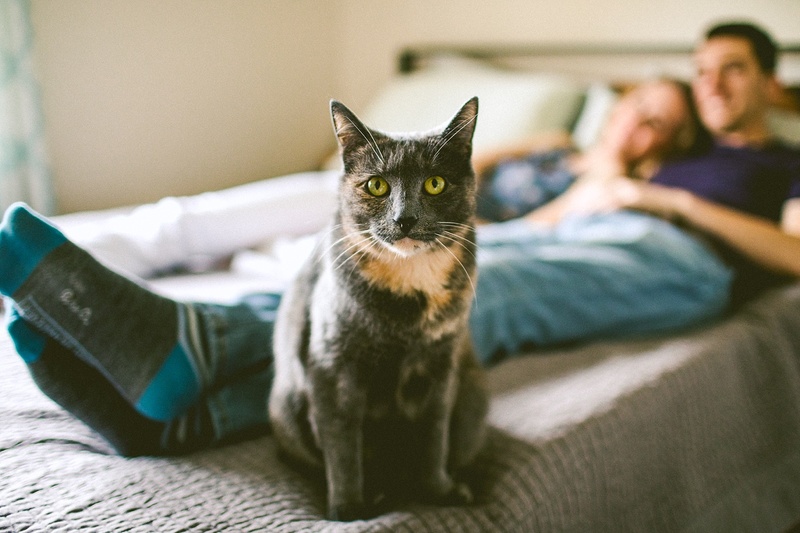 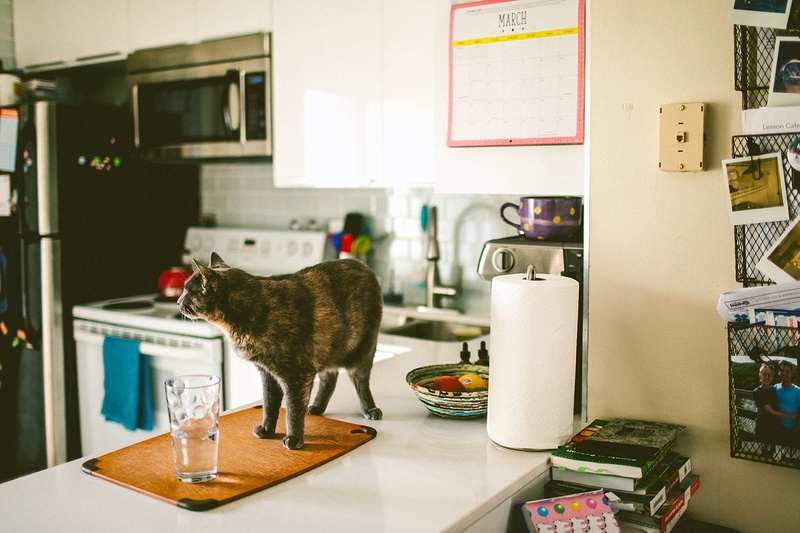 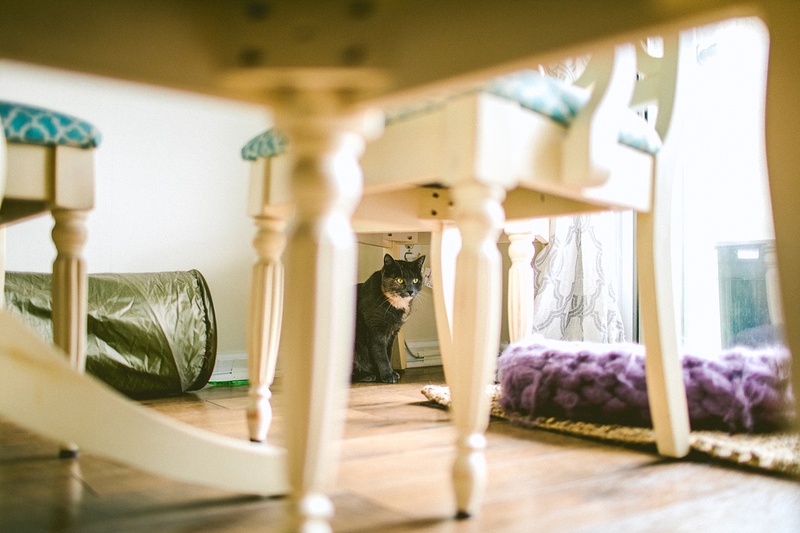 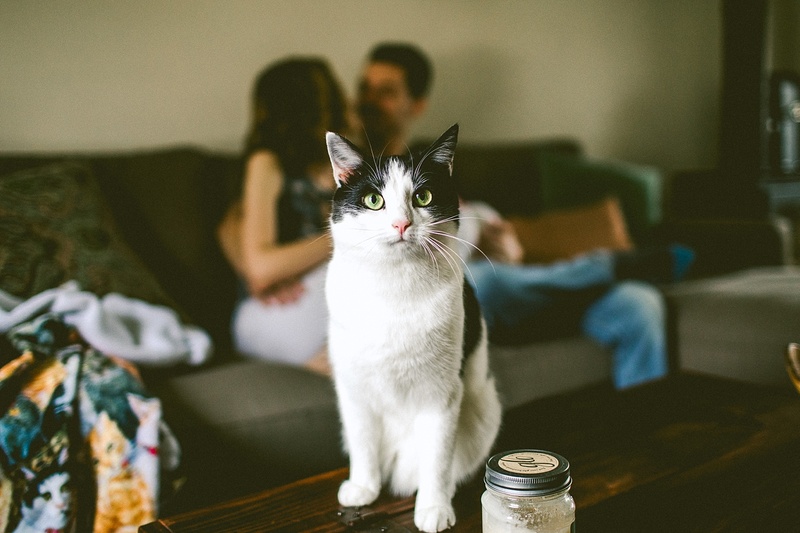 Jasmine just got back from completing her master’s in Iceland, and Caitlyn travels all over as a photographer for the army (which sounds super interesting!). 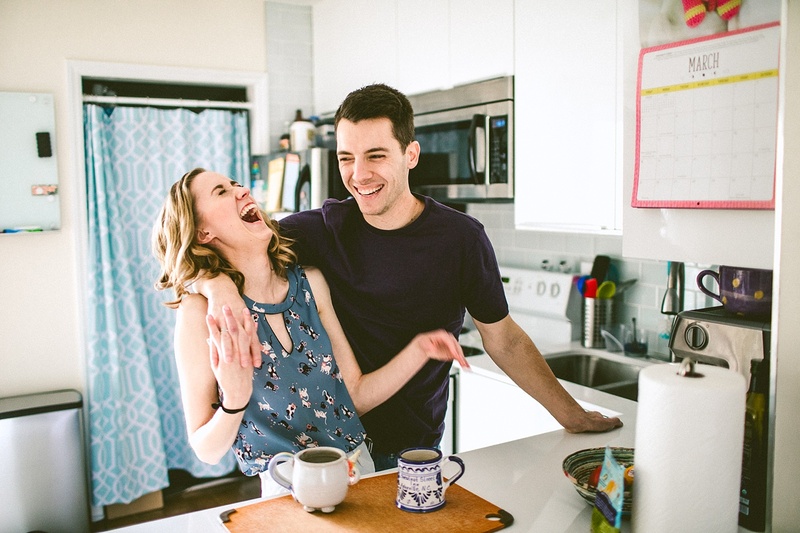 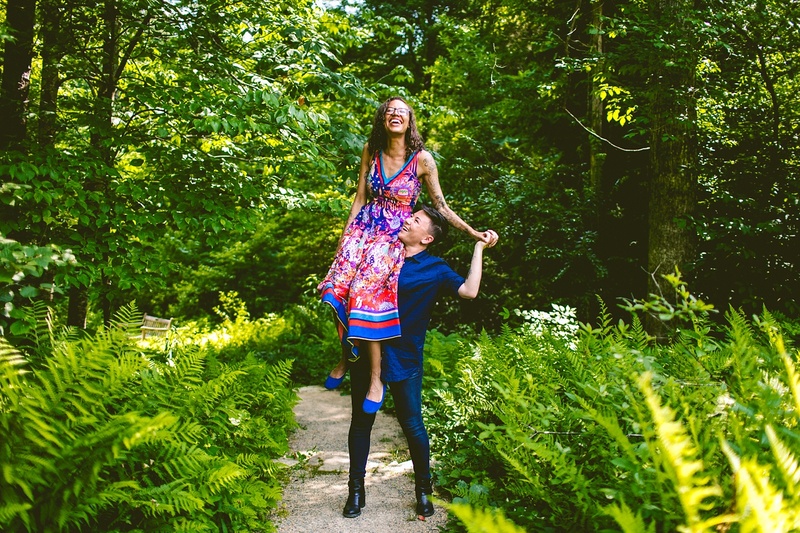 Together they make a fantastic, fun-loving and easy-going couple who proved to us via various lifts and Dirty Dancing-style jumps that they could have a long and promising career in Cirque du Soleil if they choose. 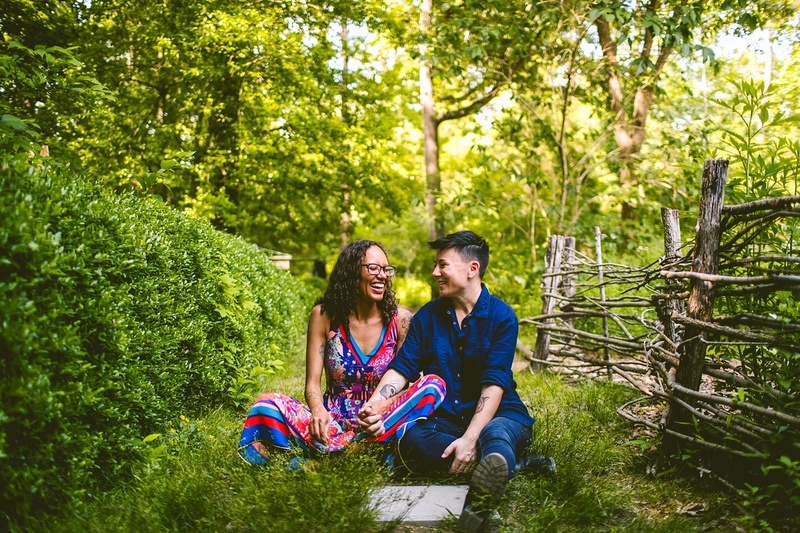 Fans of: cheese, reading/writing, cooking, birds (Caitlyn), and bunnies (Jasmine). 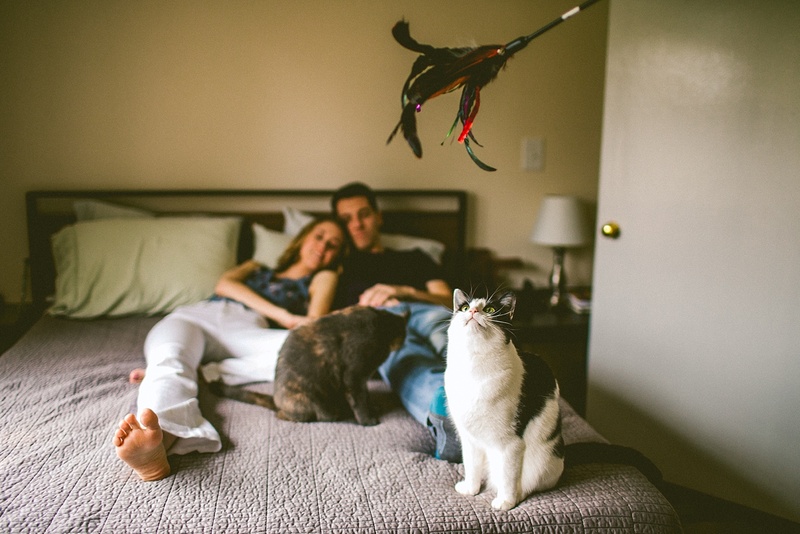 Not fans of: mosquitos, ebola, butterflies (Jasmine). 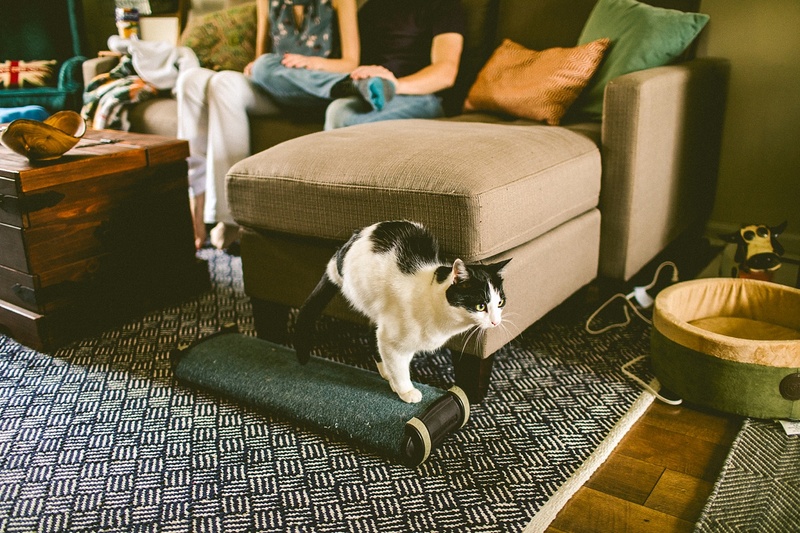 Both great at: pretending the floor is lava. 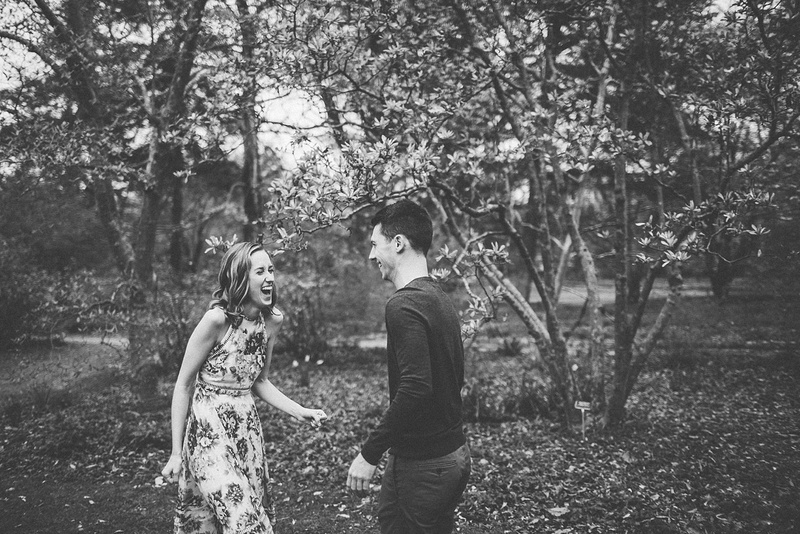 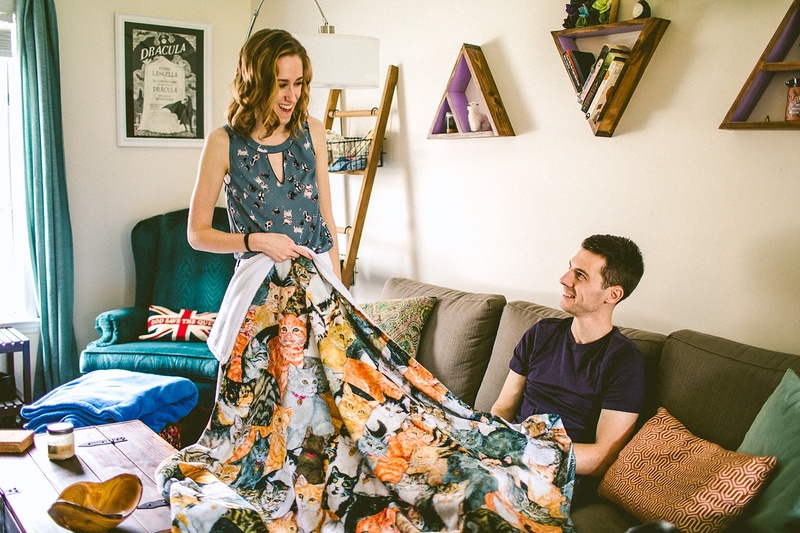 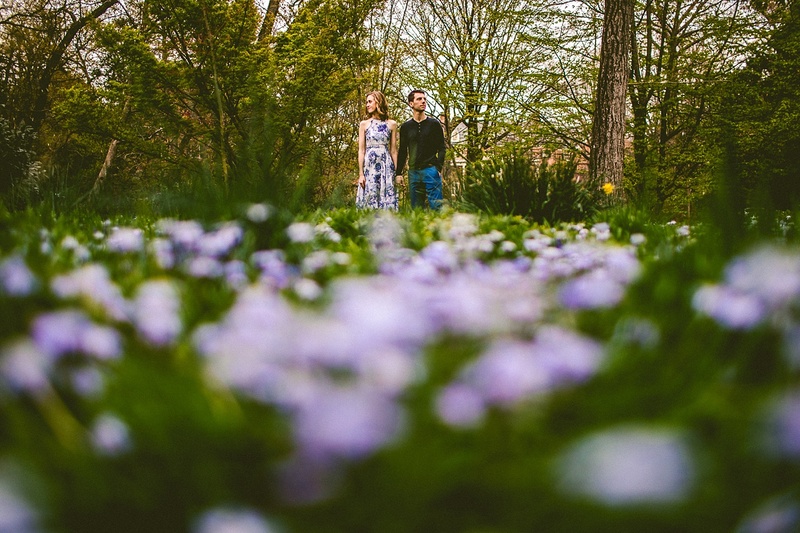 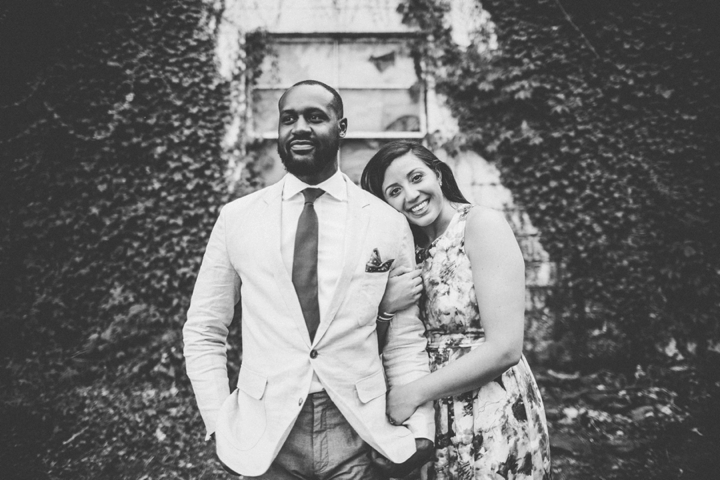 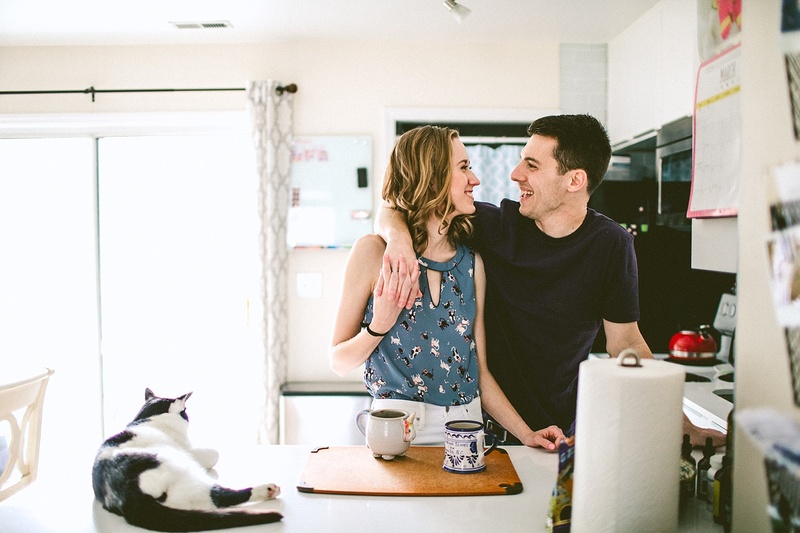 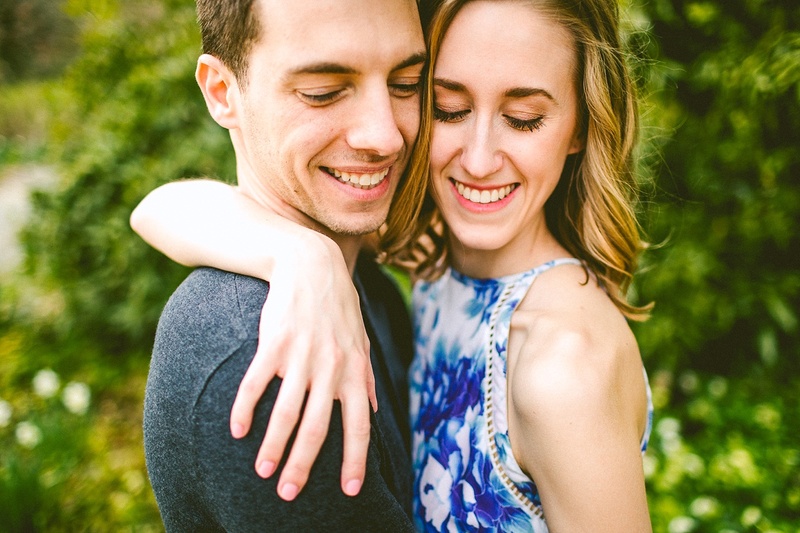 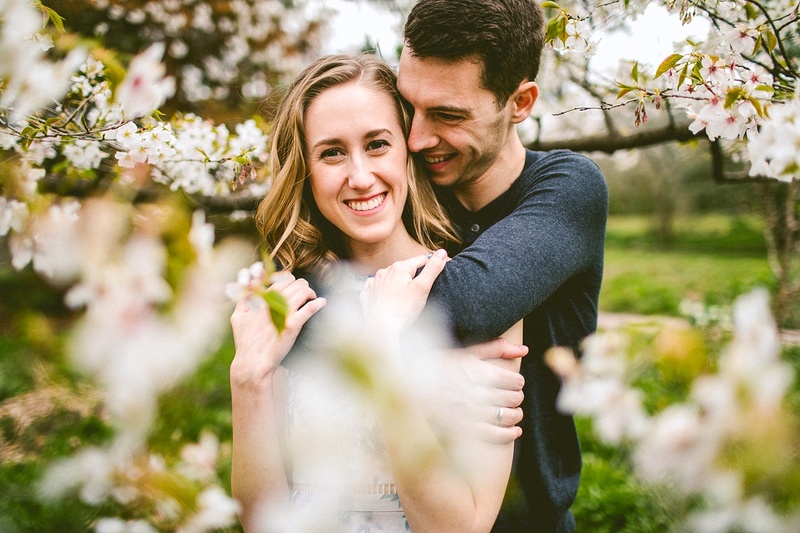 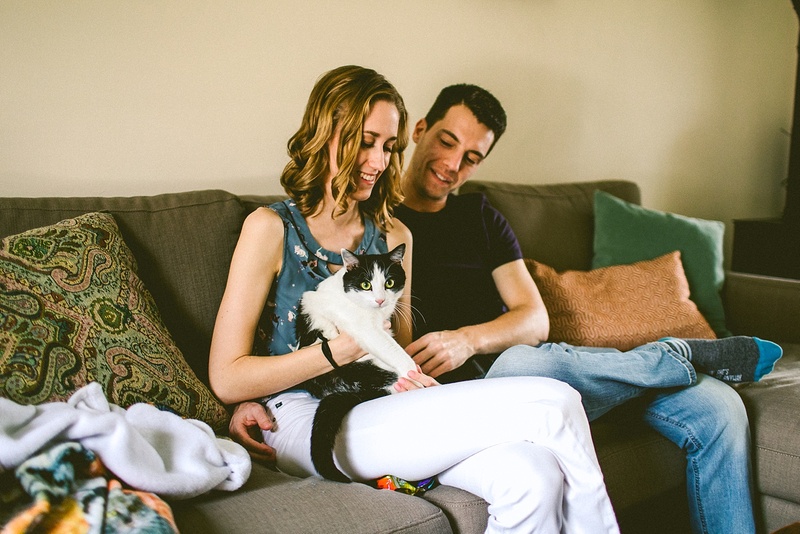 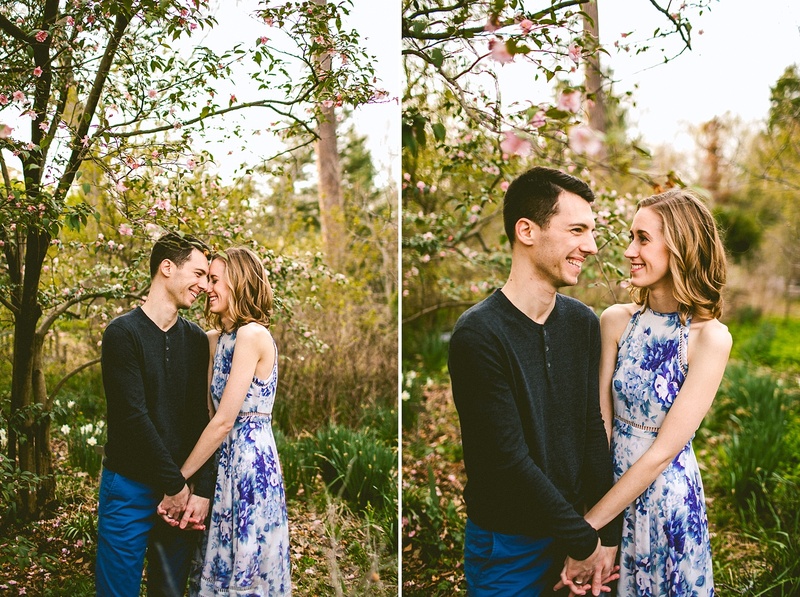 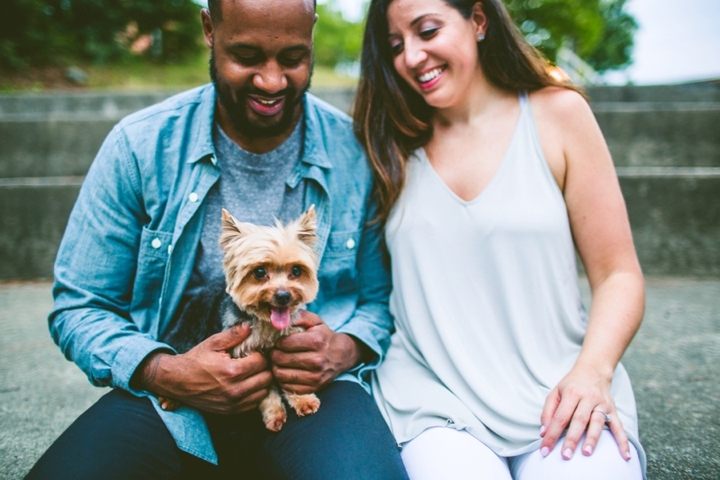 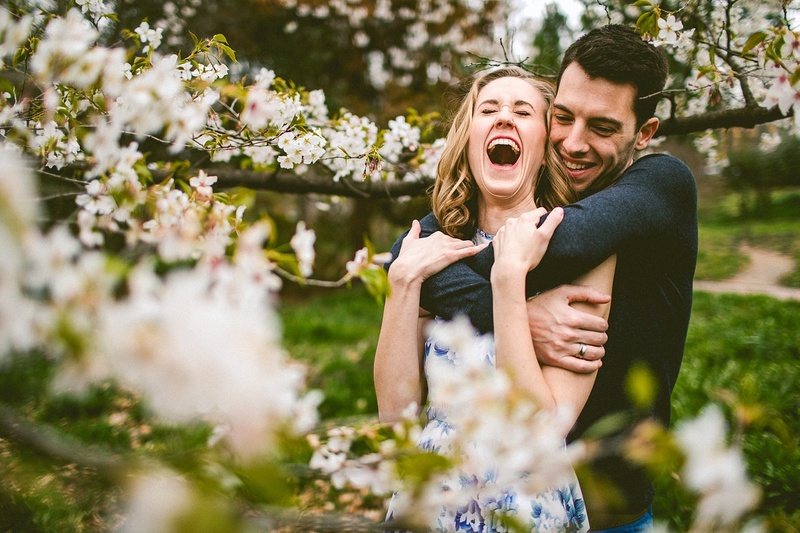 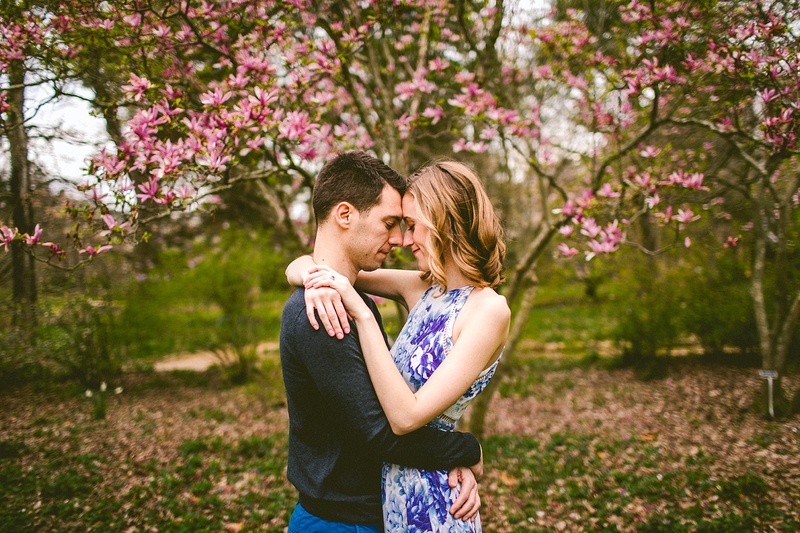 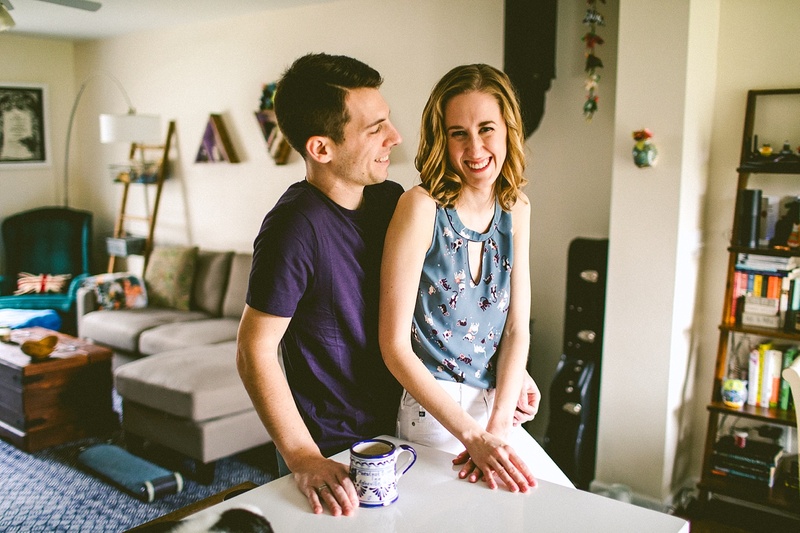 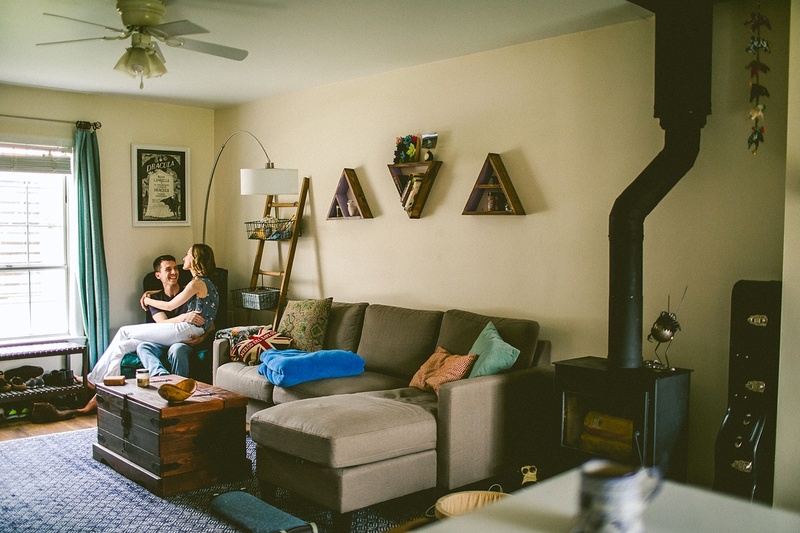 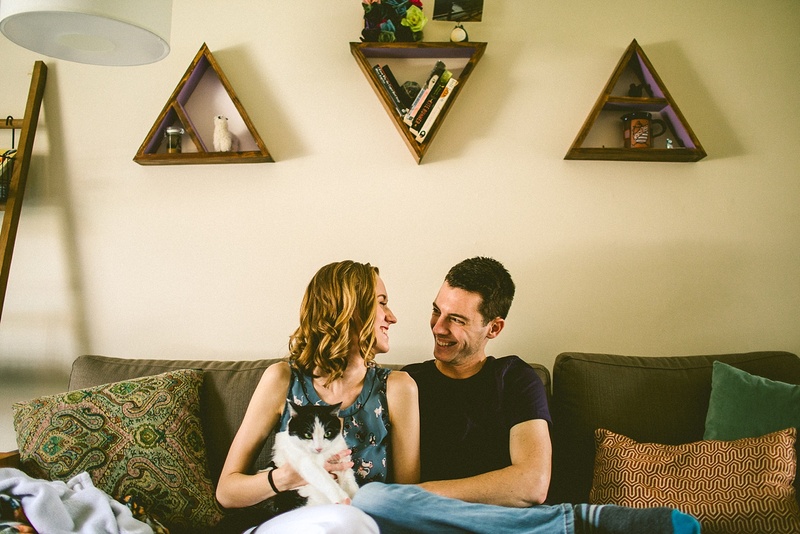 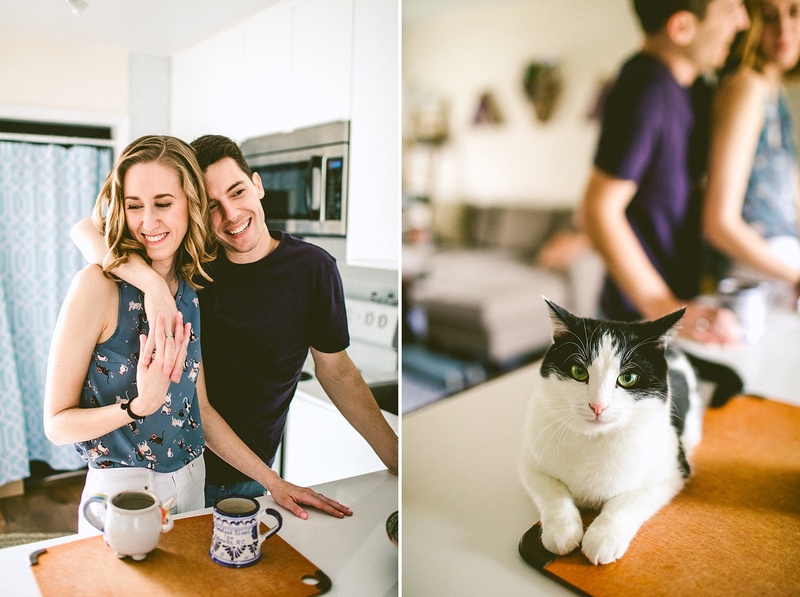 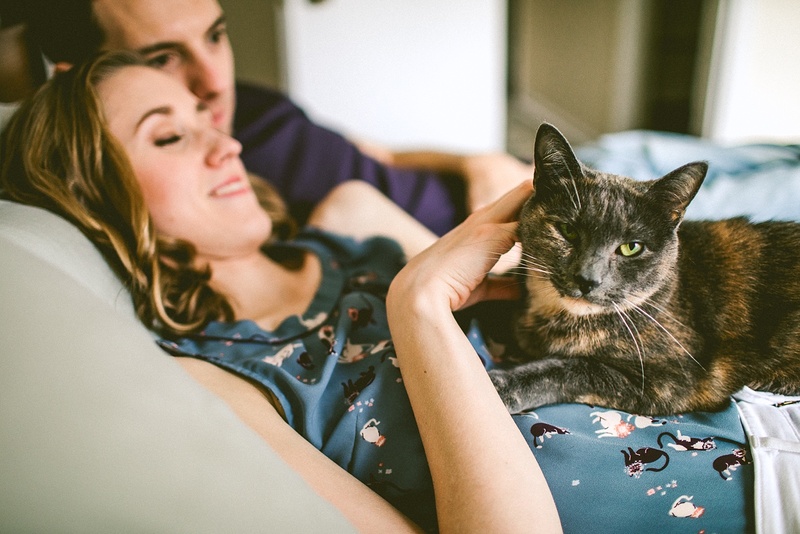 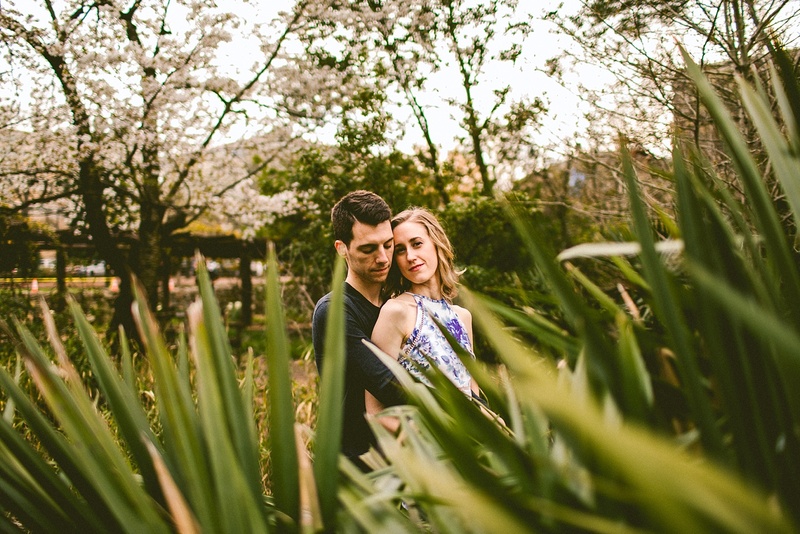 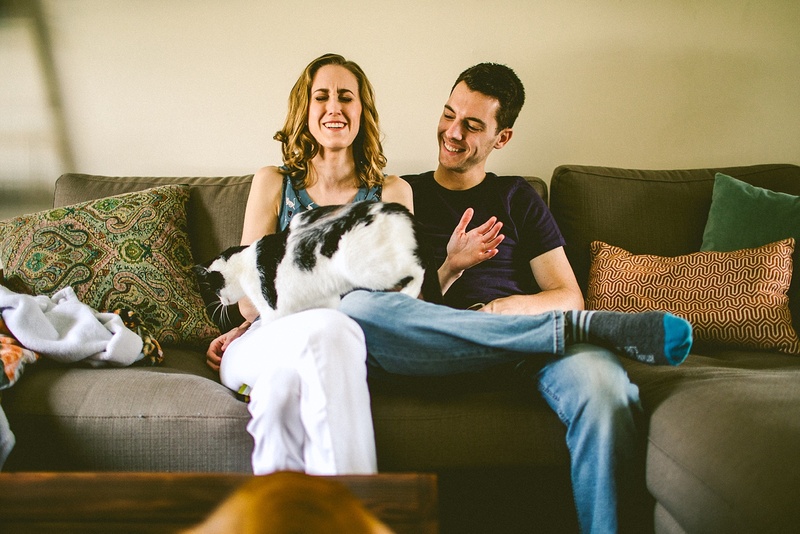 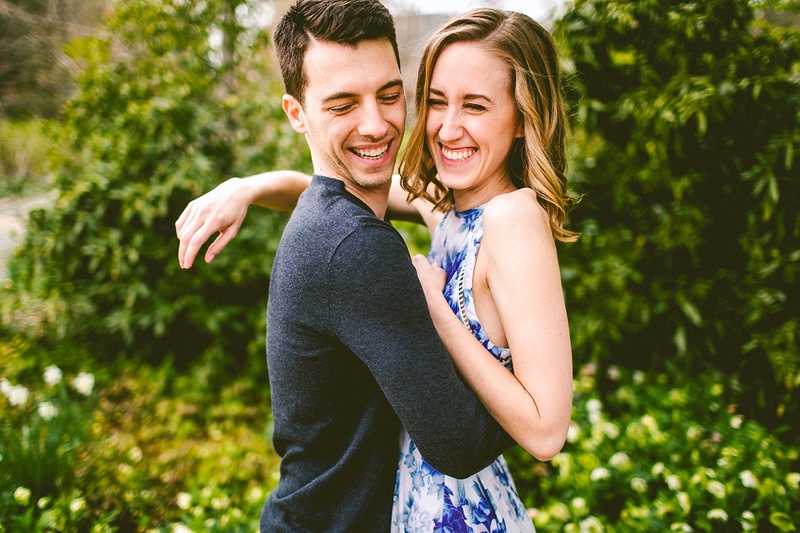 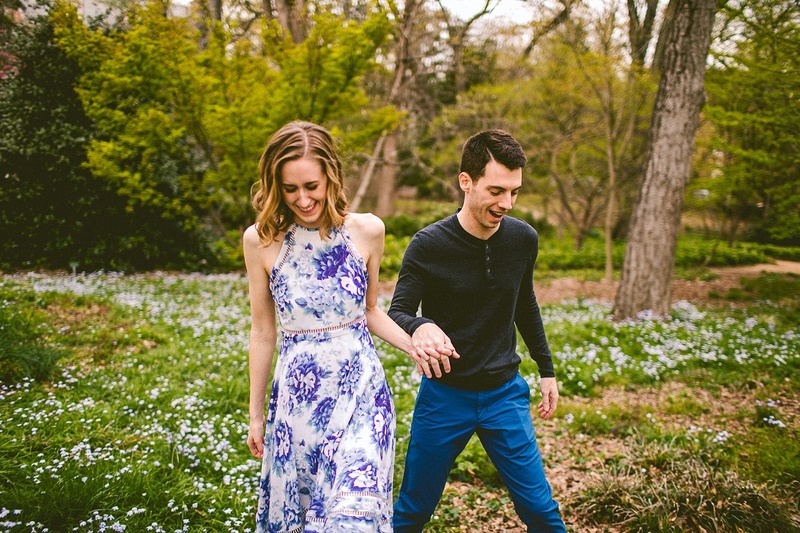 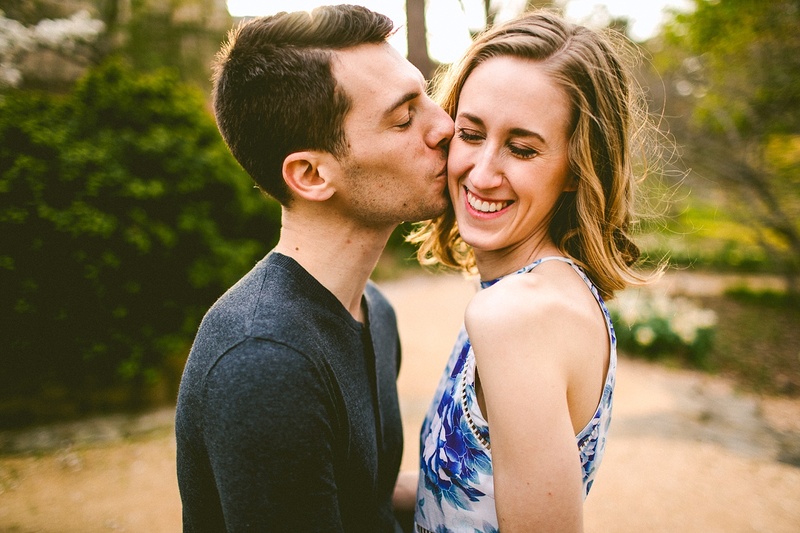 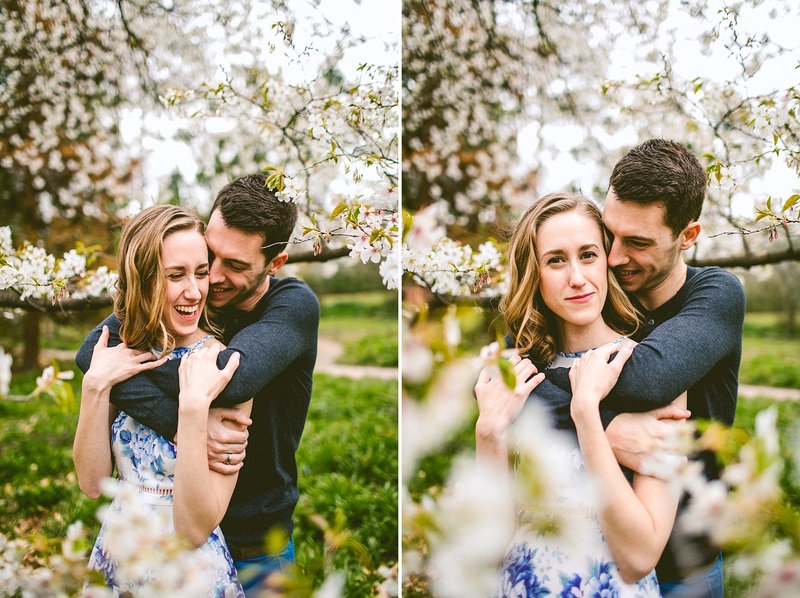 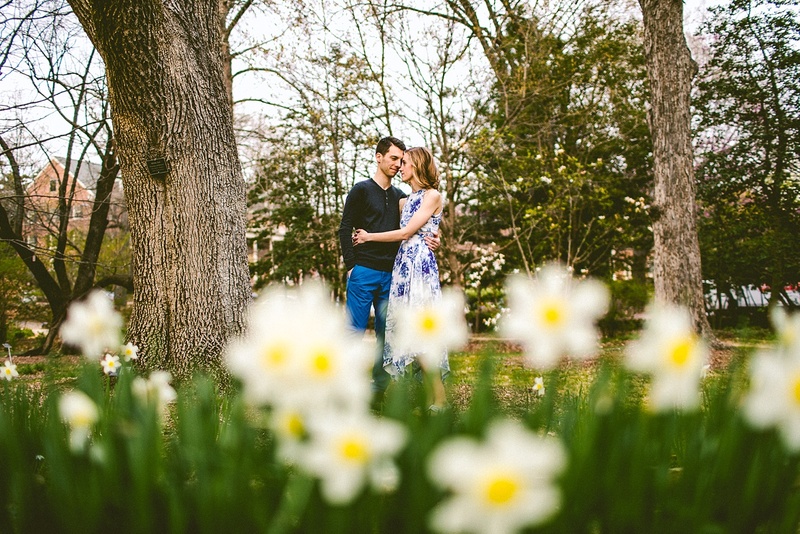 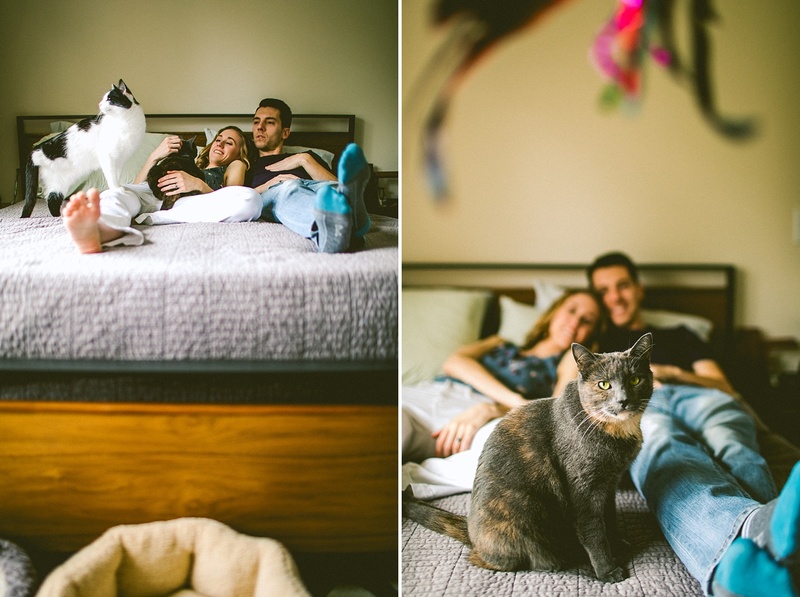 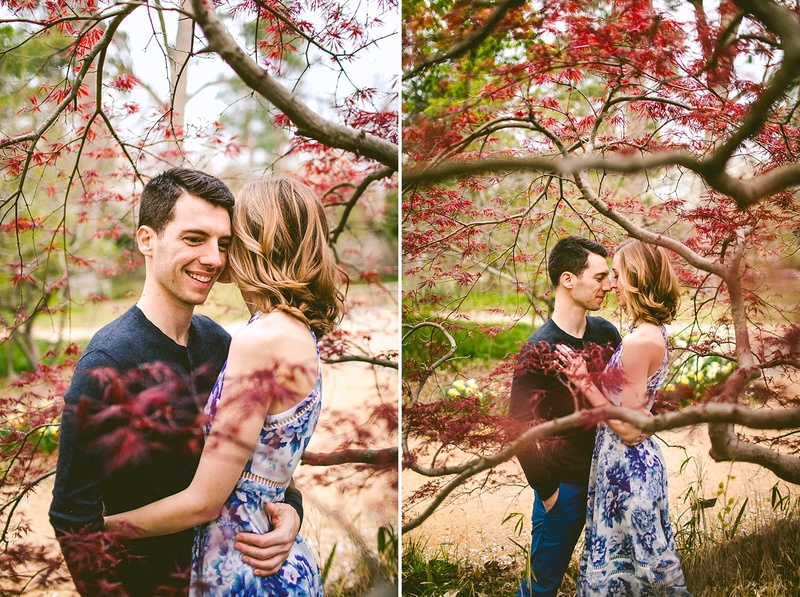 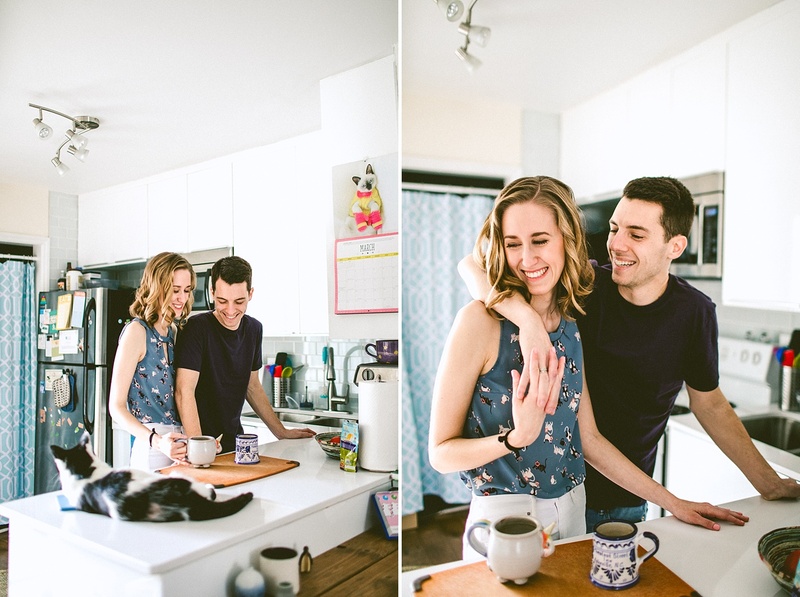 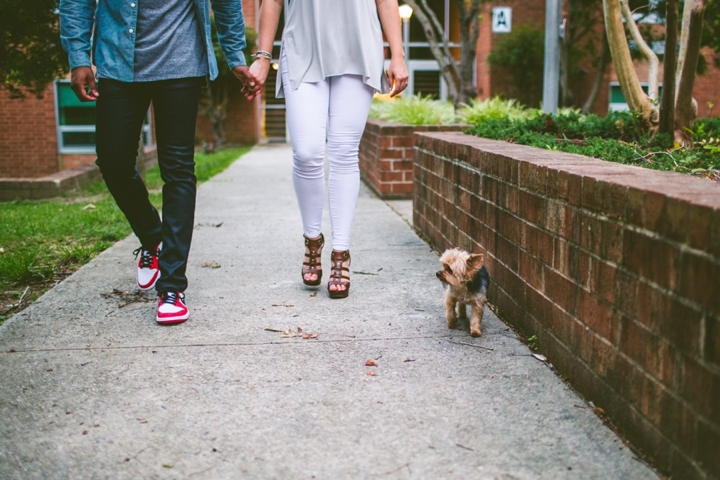 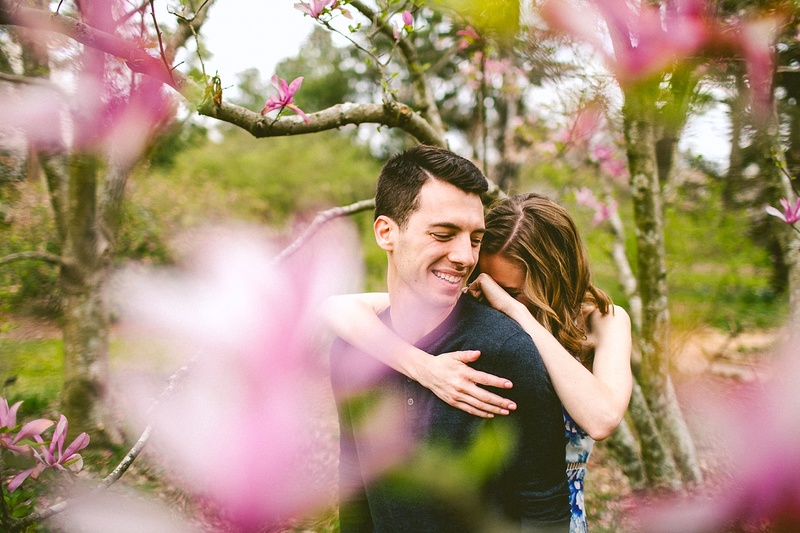 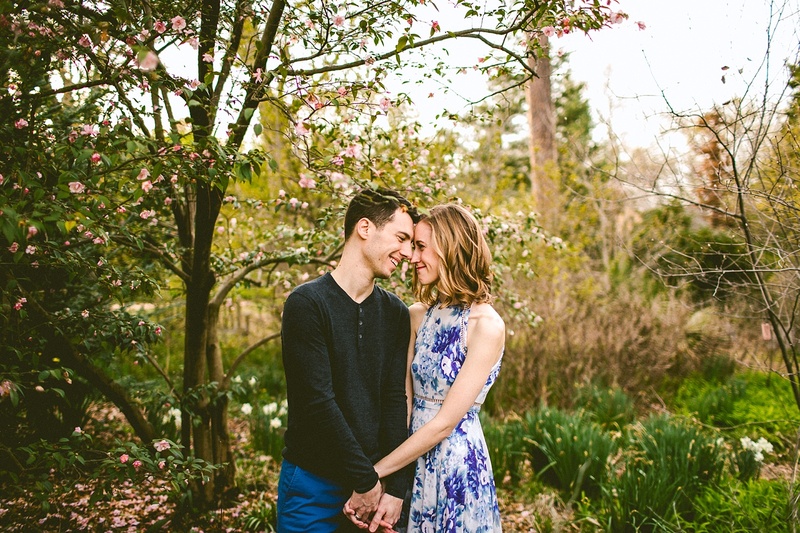 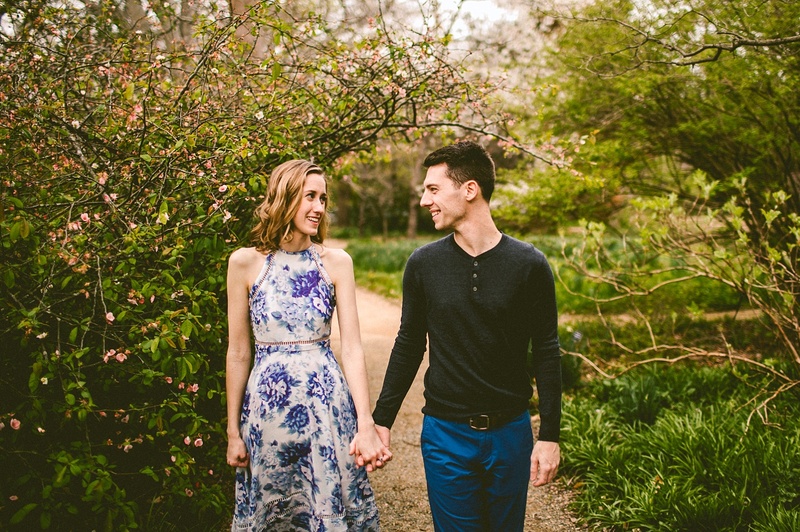 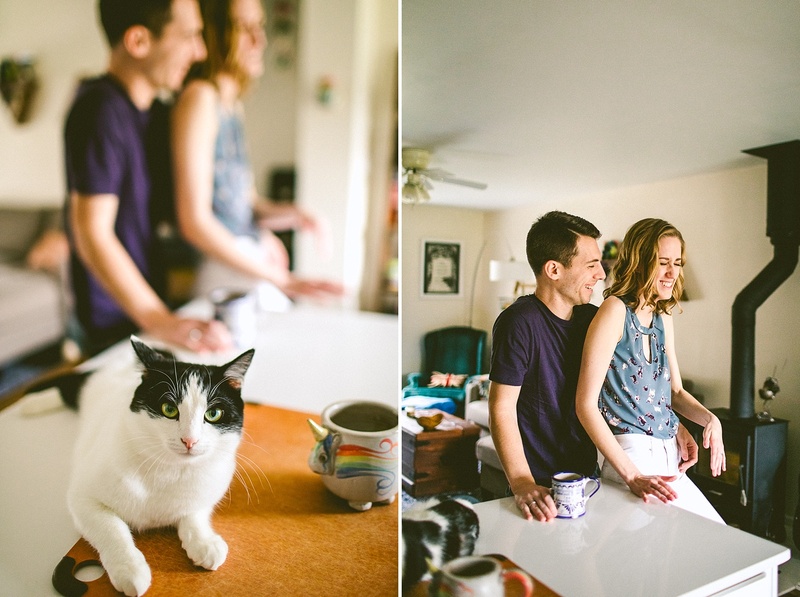 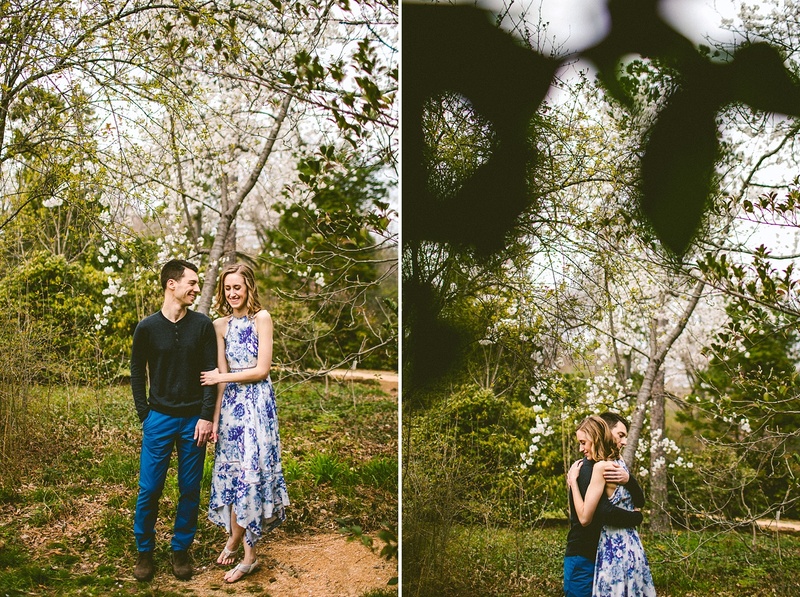 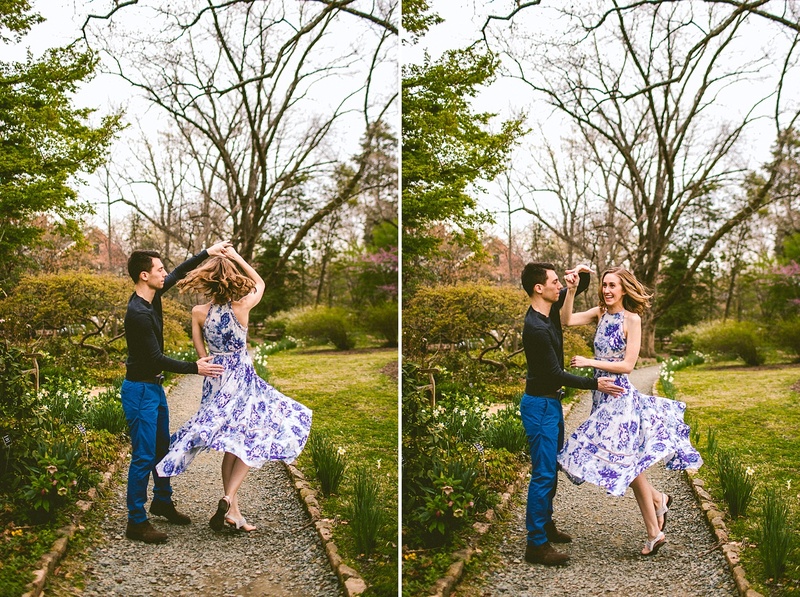 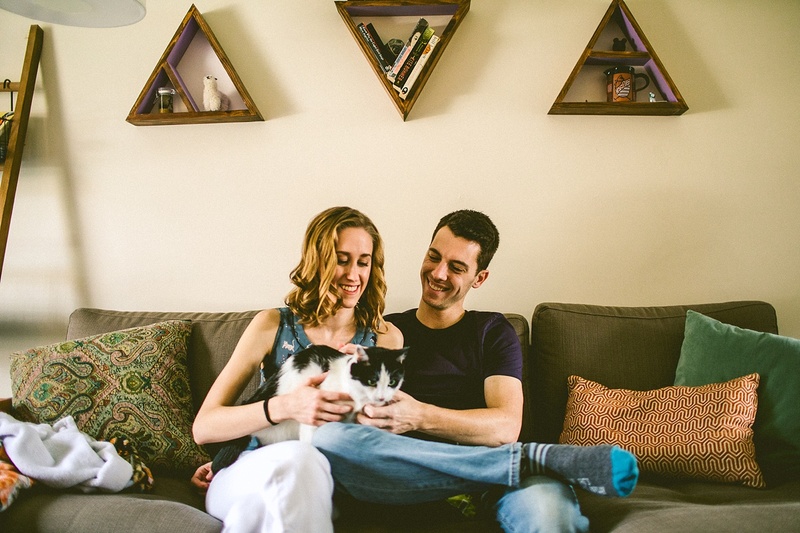 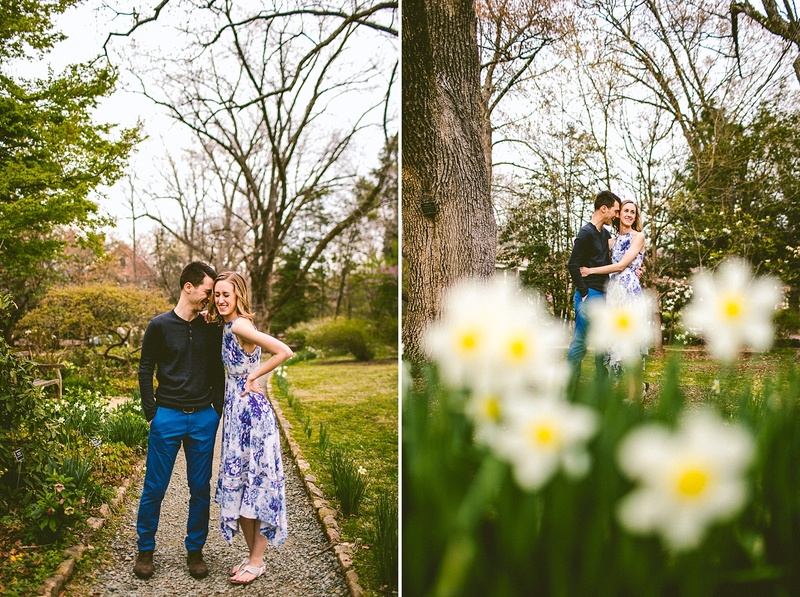 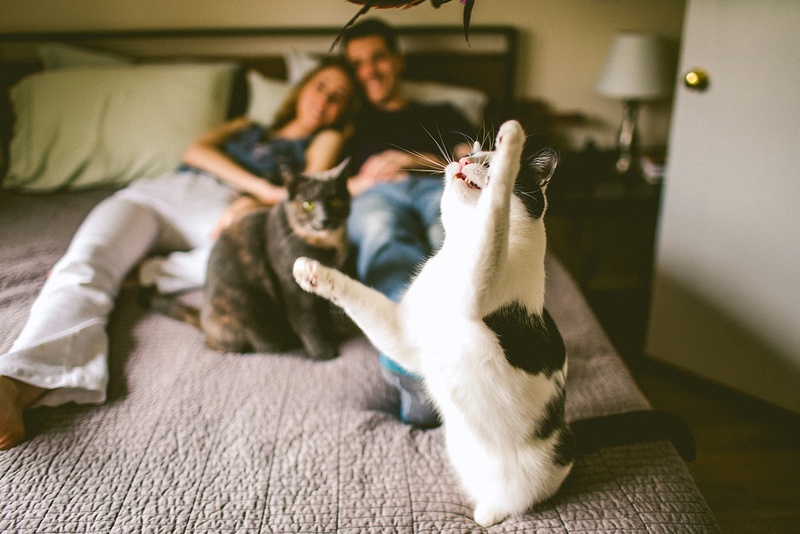 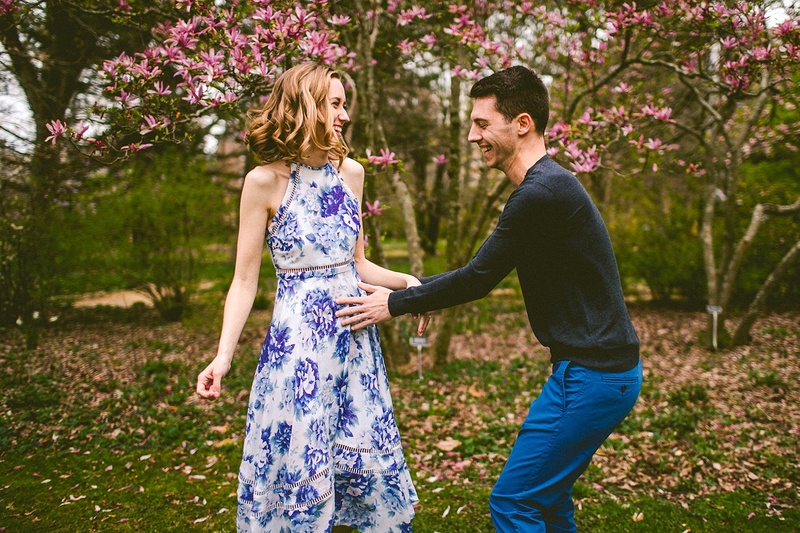 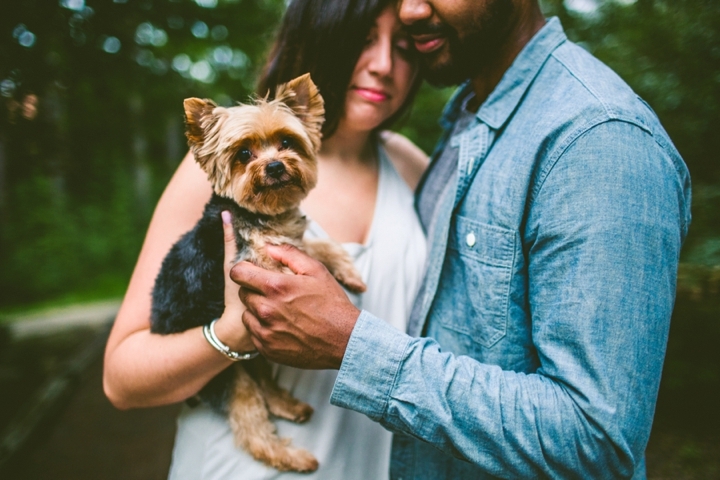 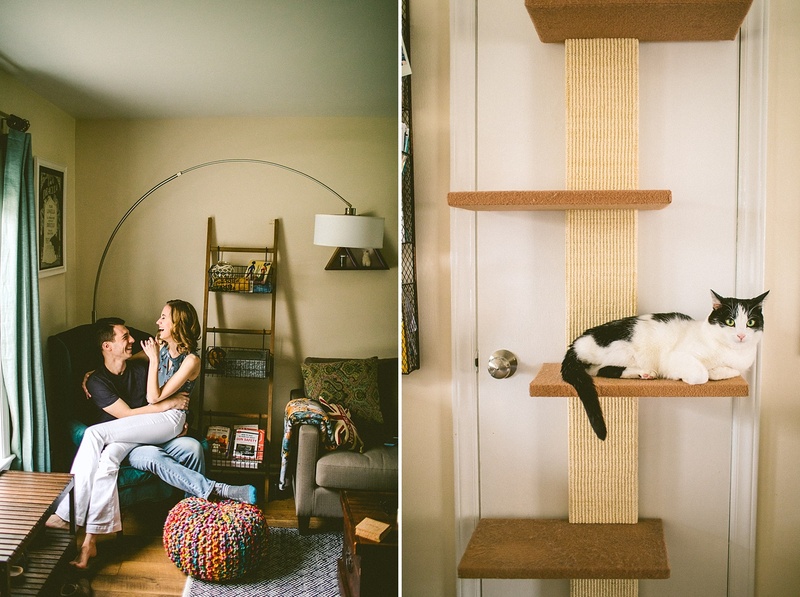 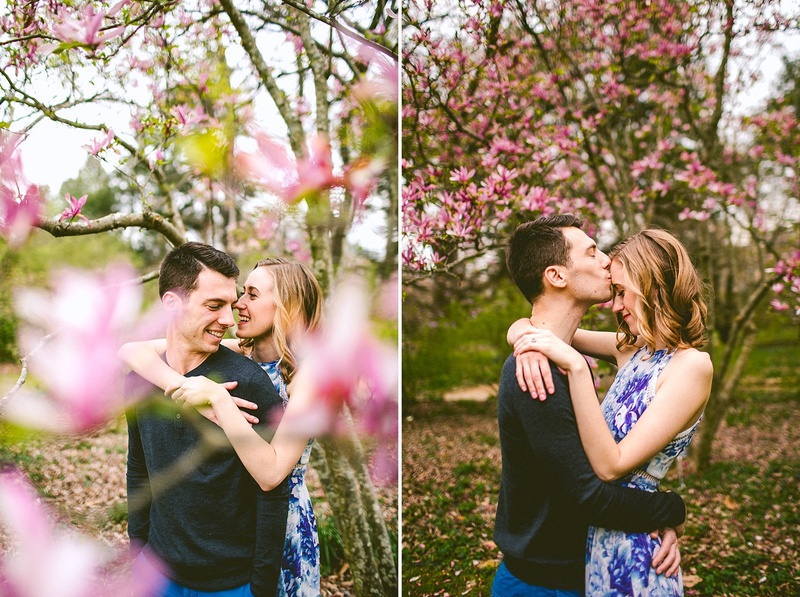 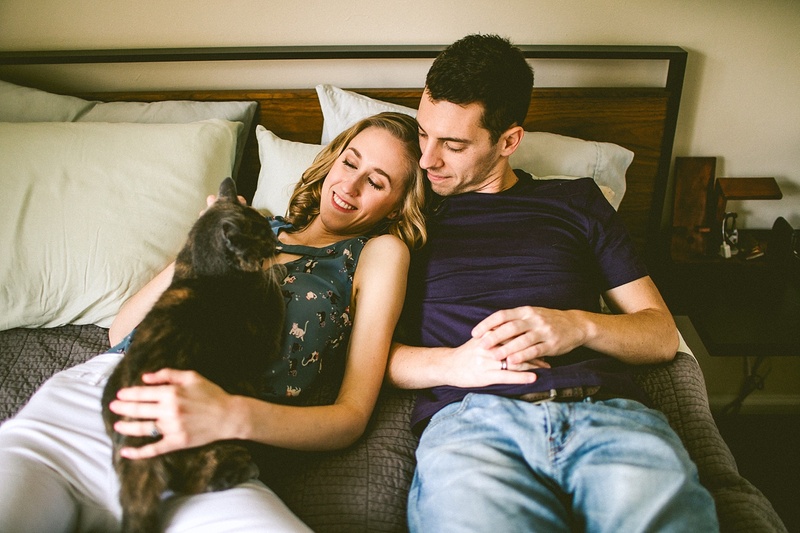 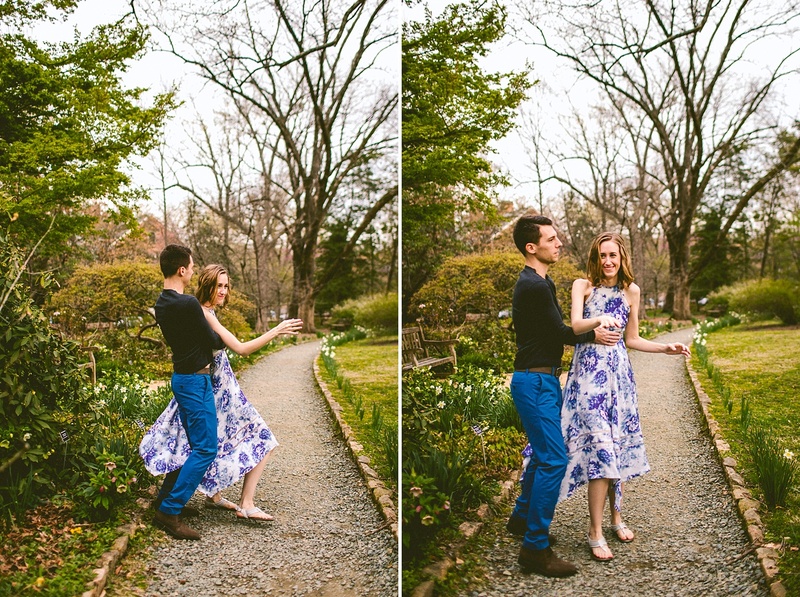 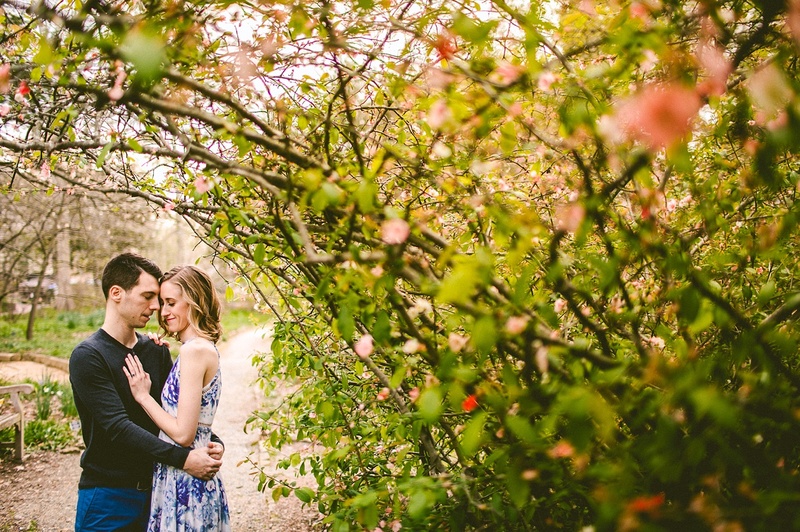 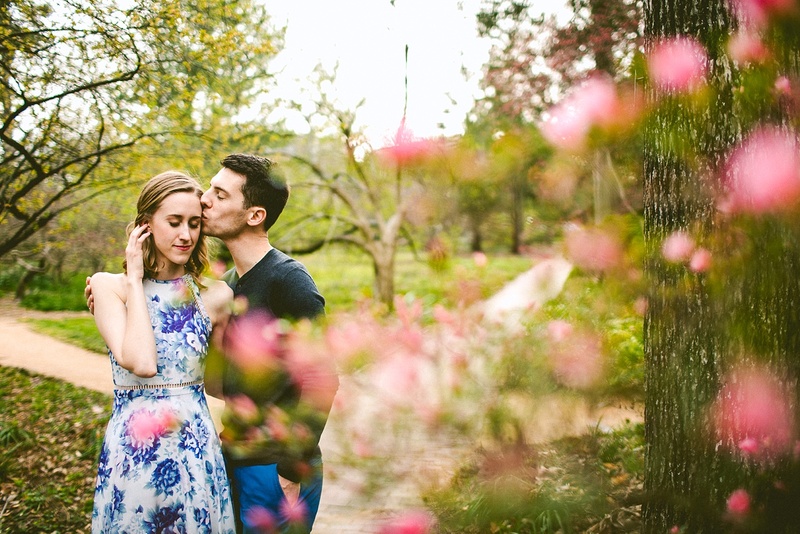 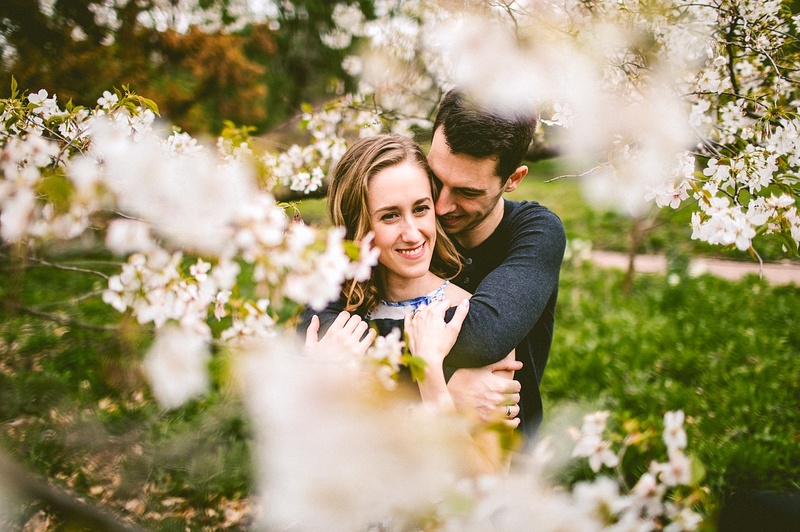 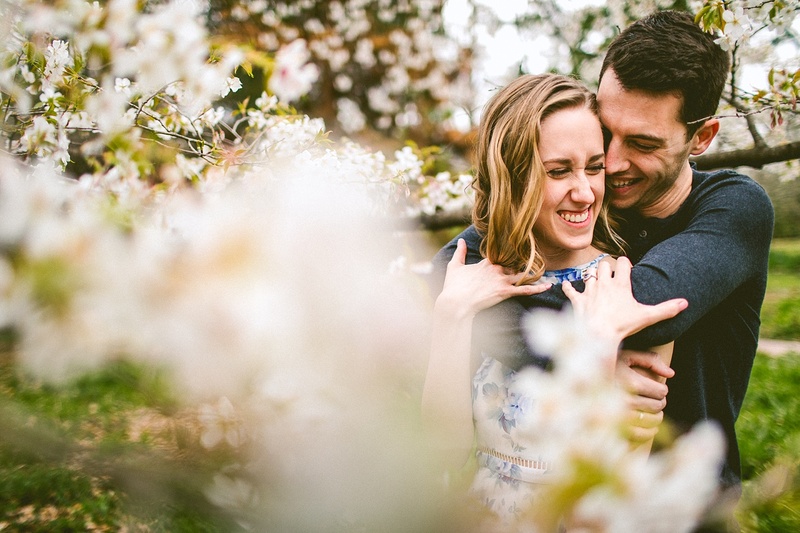 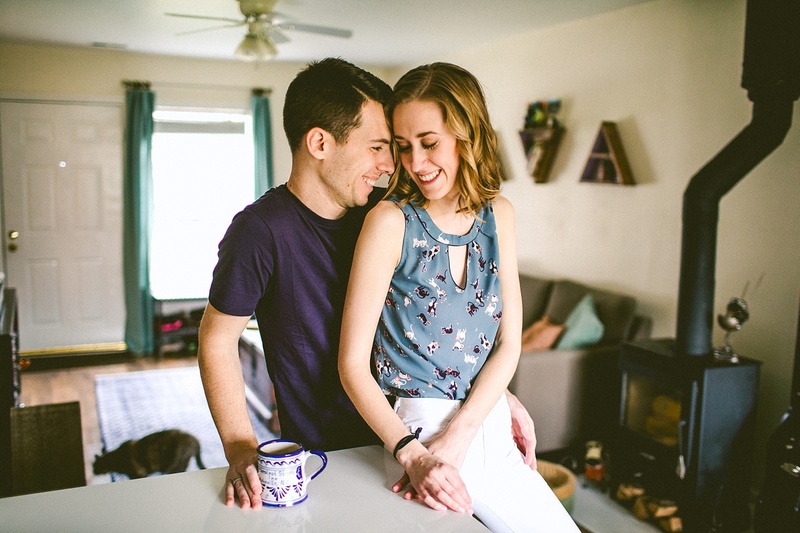 So happy to have had the opportunity to meet this beautiful couple and work with them on their engagement session! 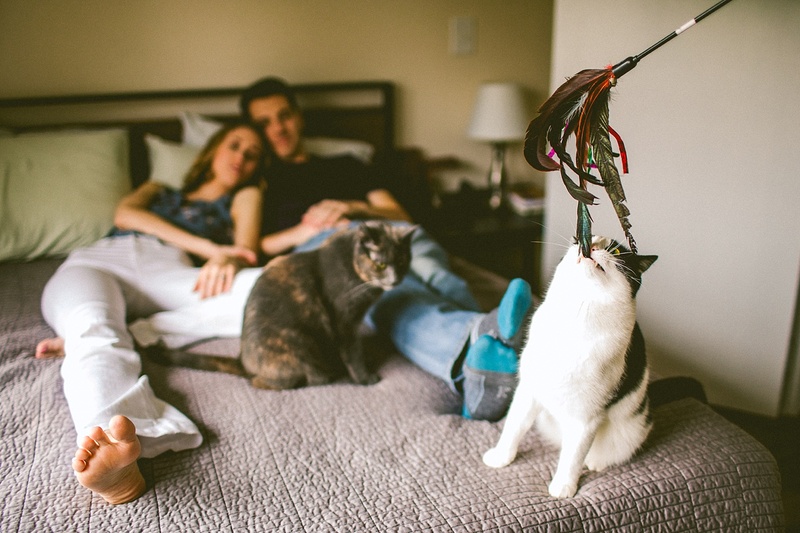 Also to introduce them to Locopops, which is important. 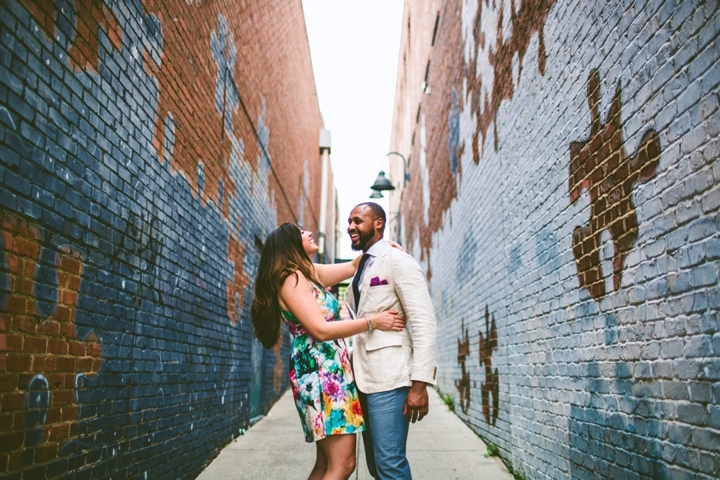 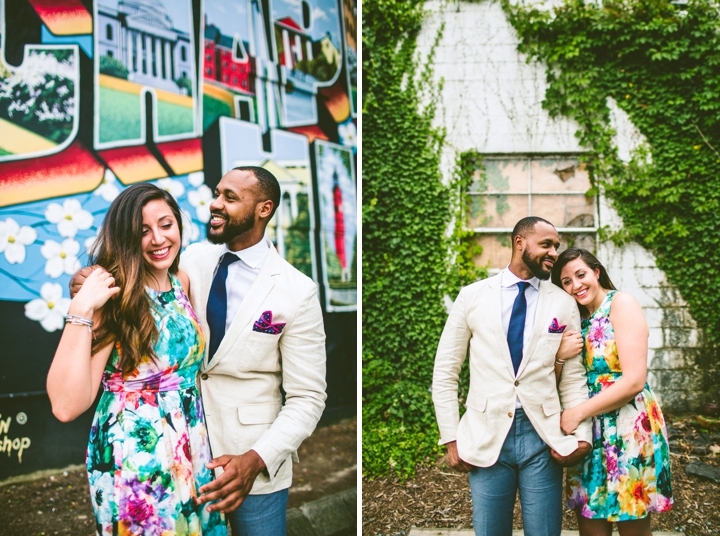 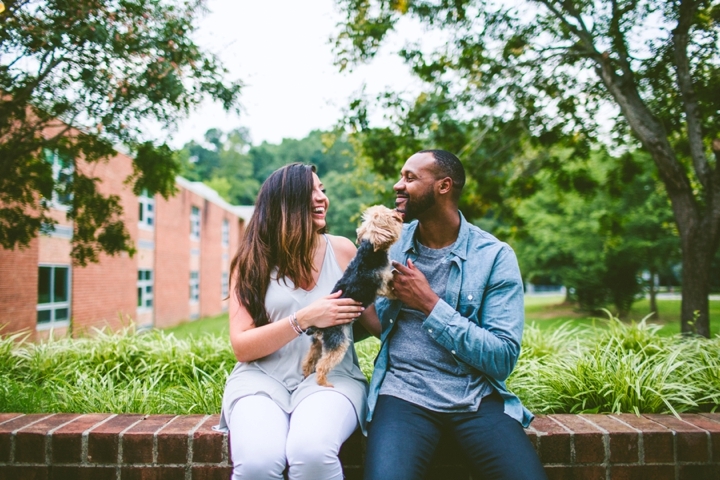 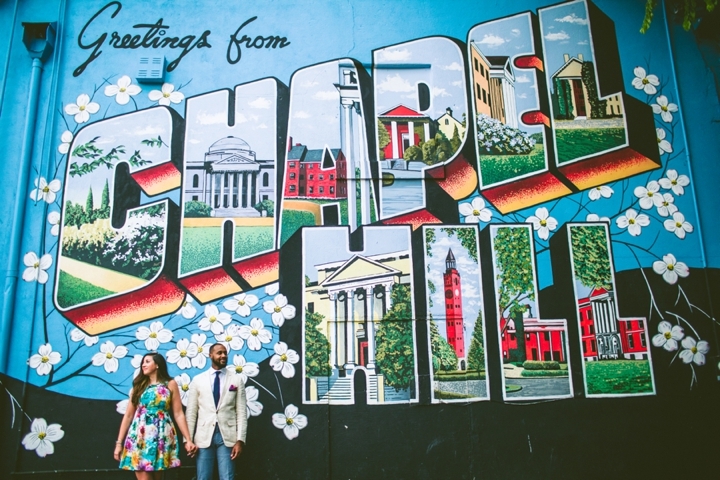 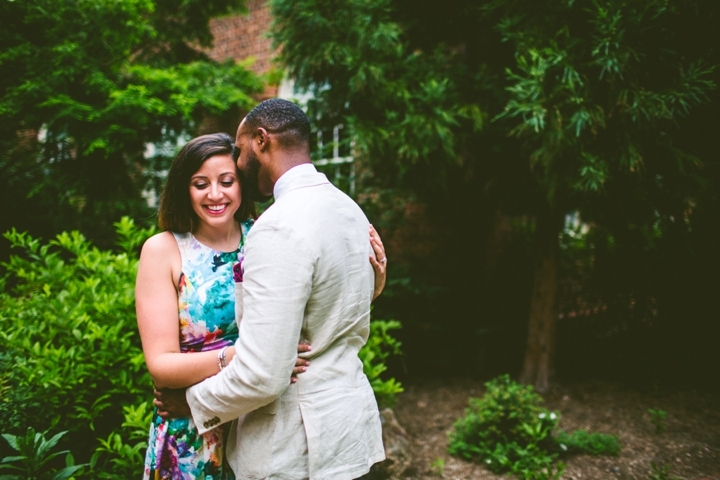 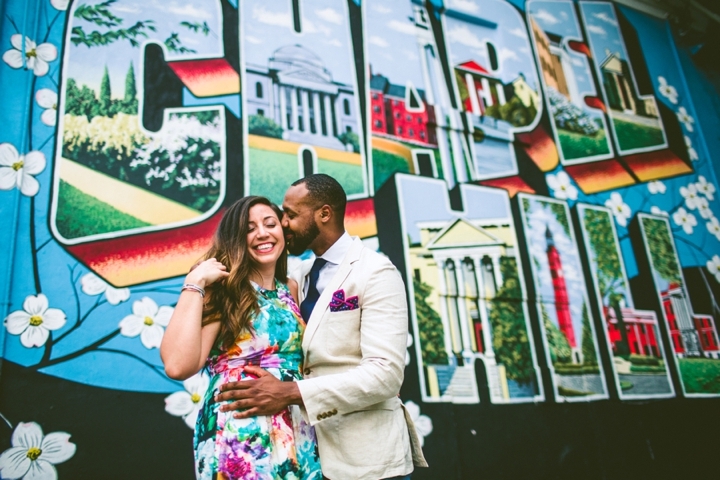 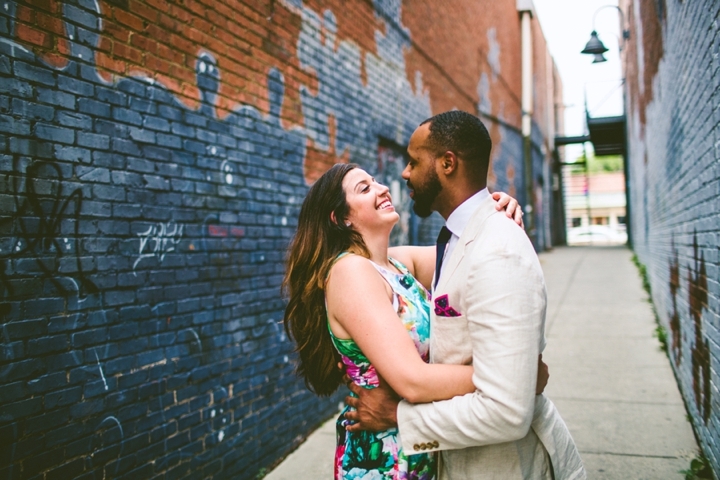 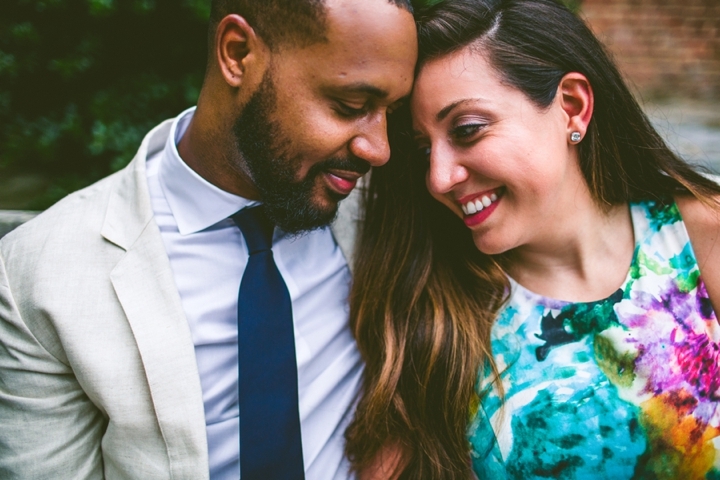 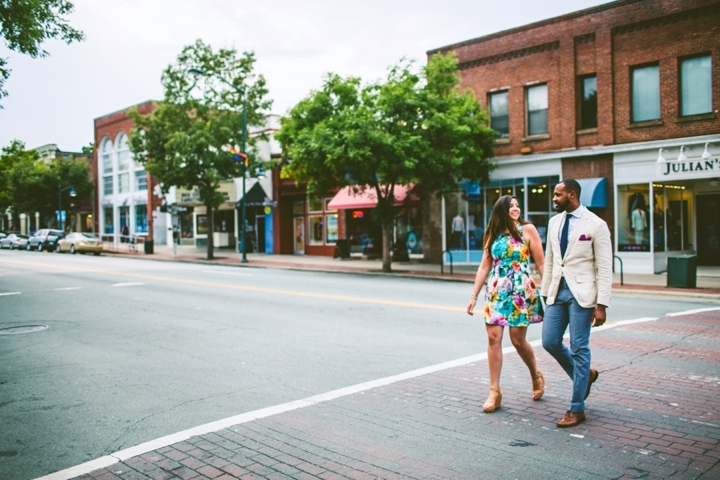 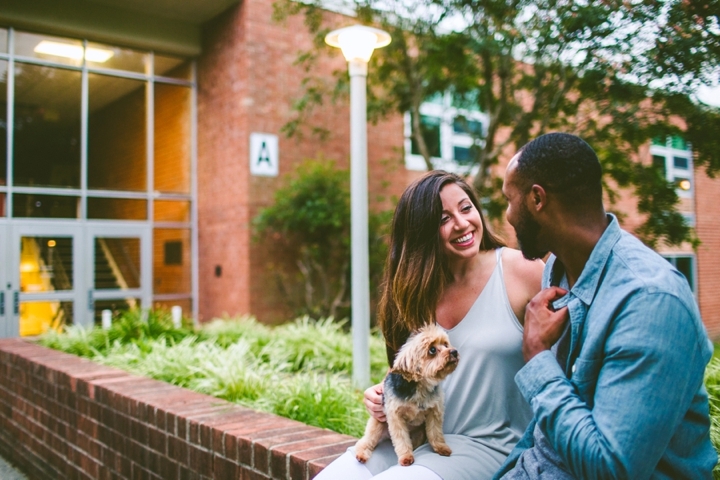 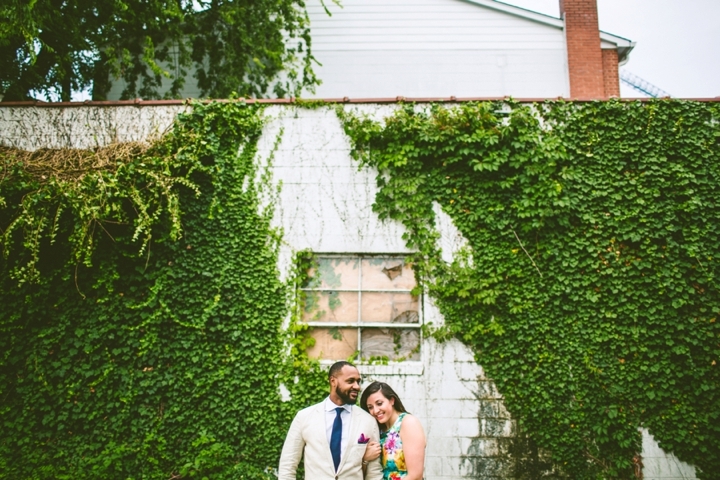 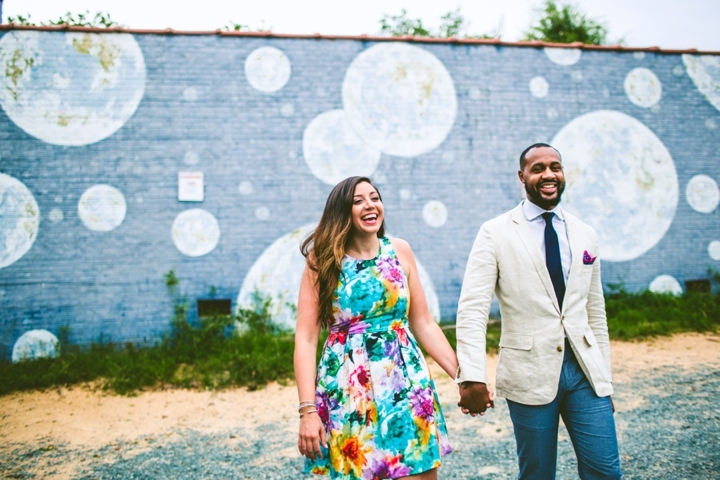 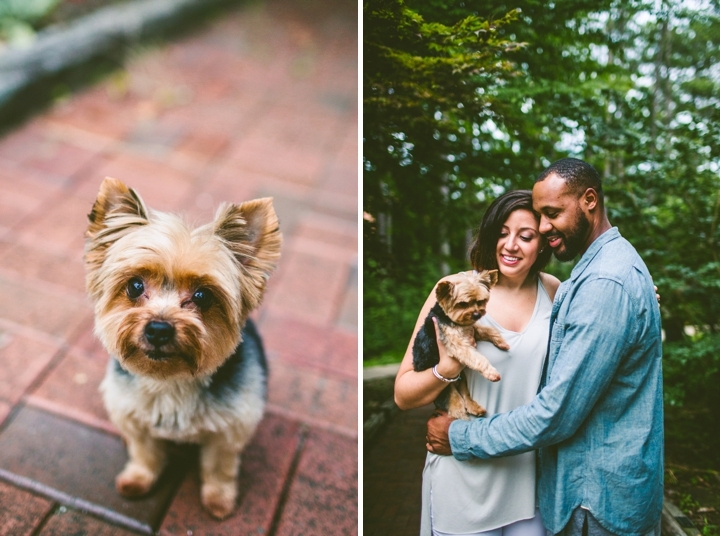 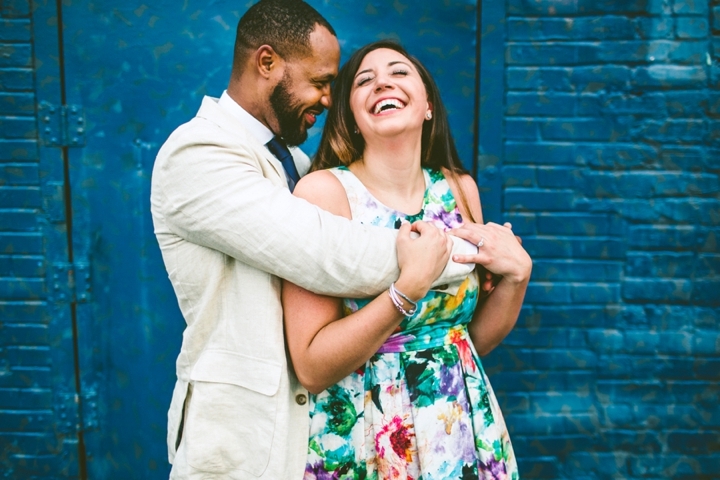 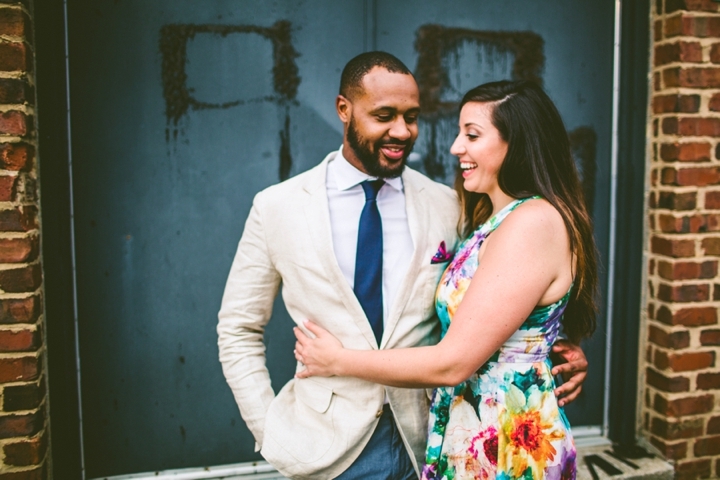 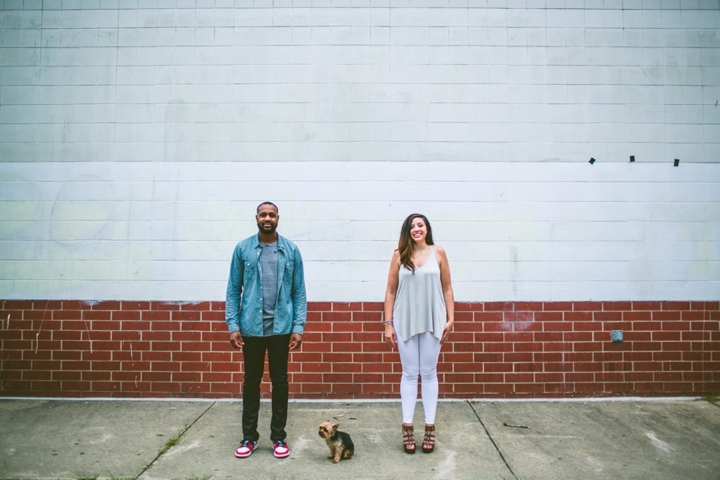 Kaela and Isiah joined us all the way from Atlanta to have pictures taken back in their hometown of Chapel Hill, NC. 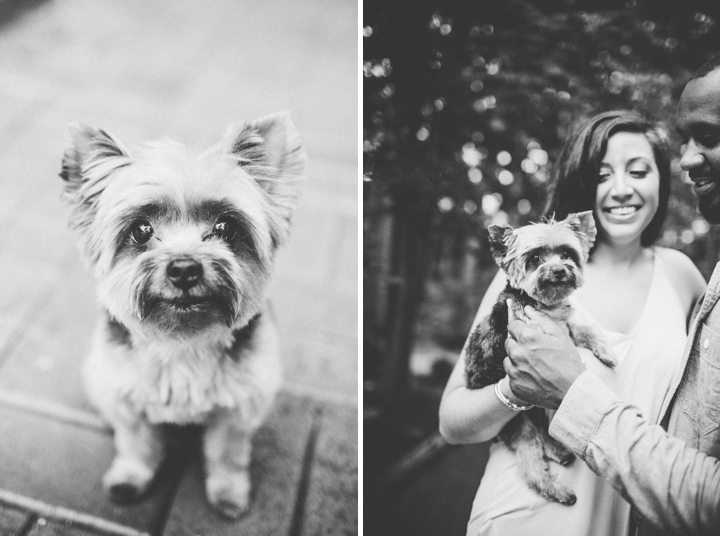 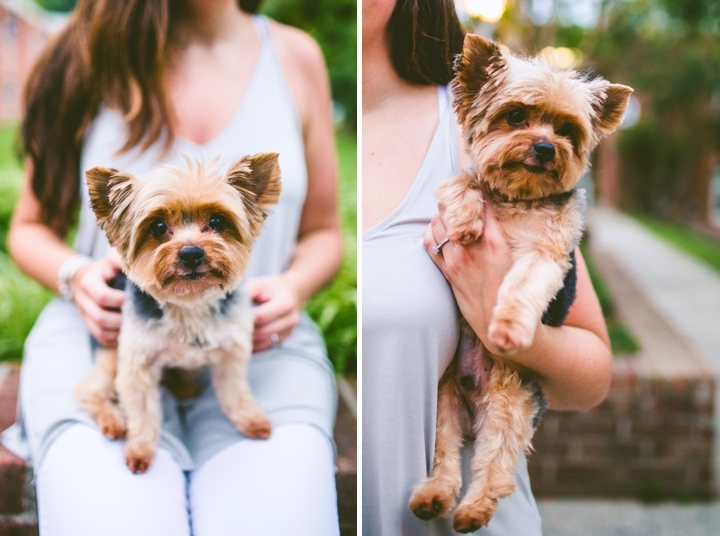 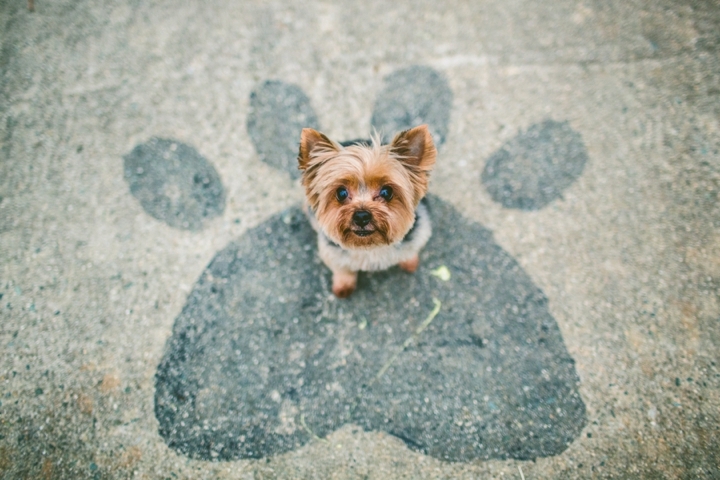 Archie, their adorable fluff ball dog, also joined us, and was a stunning model (for treats). 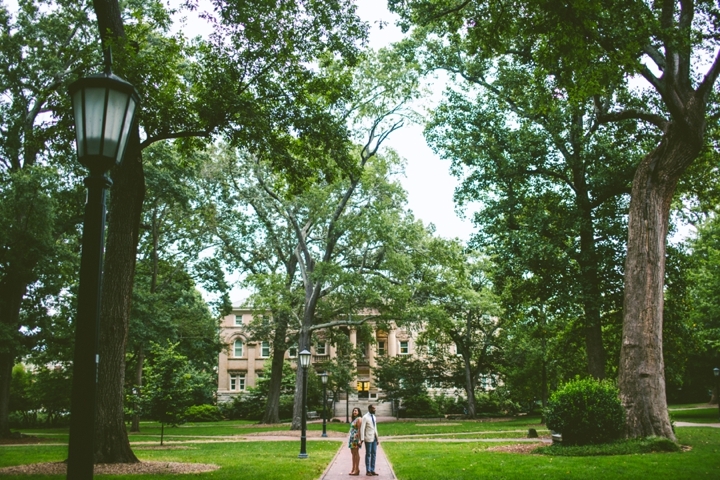 We roamed around UNC and Chapel Hill High School and discussed how awesome Reading Rainbow was. 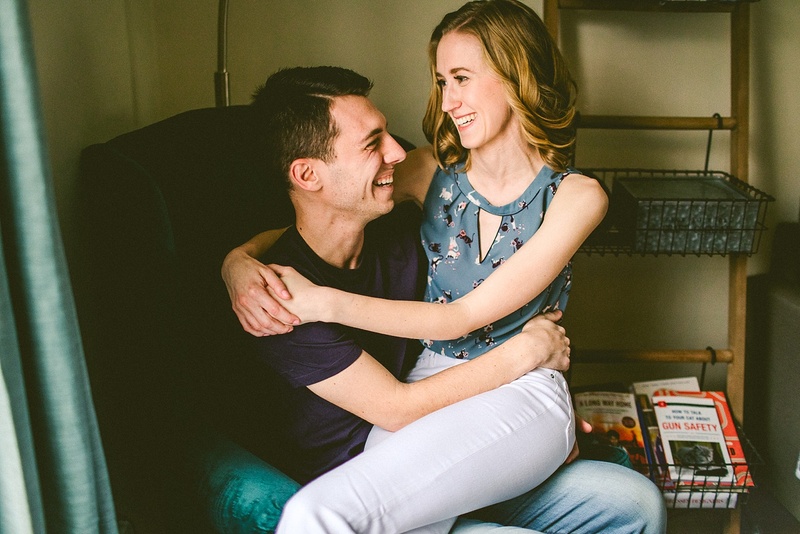 Kaela’s 1 minute of fame is currently that she had a book suggestion featured on Reading Rainbow as a child, but she unfortunately can’t remember which book it was. 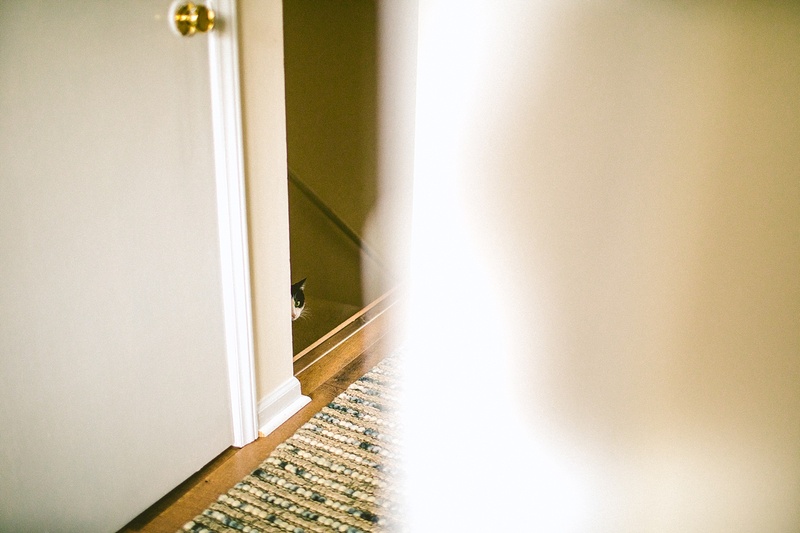 Nonetheless, we are happy to have this very vague six-degrees-of-separation moment with LeVar Burton. 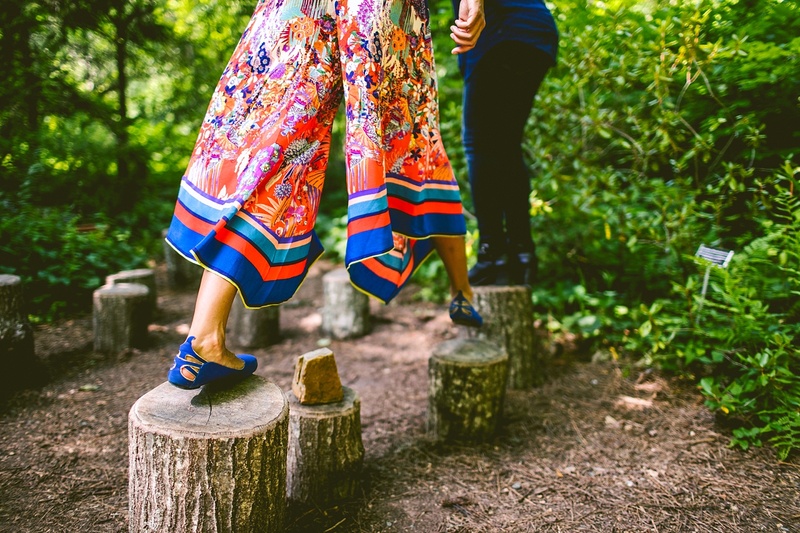 Isiah didn’t have a book featured on Reading Rainbow, but he owns a lot of really stylish shoes. 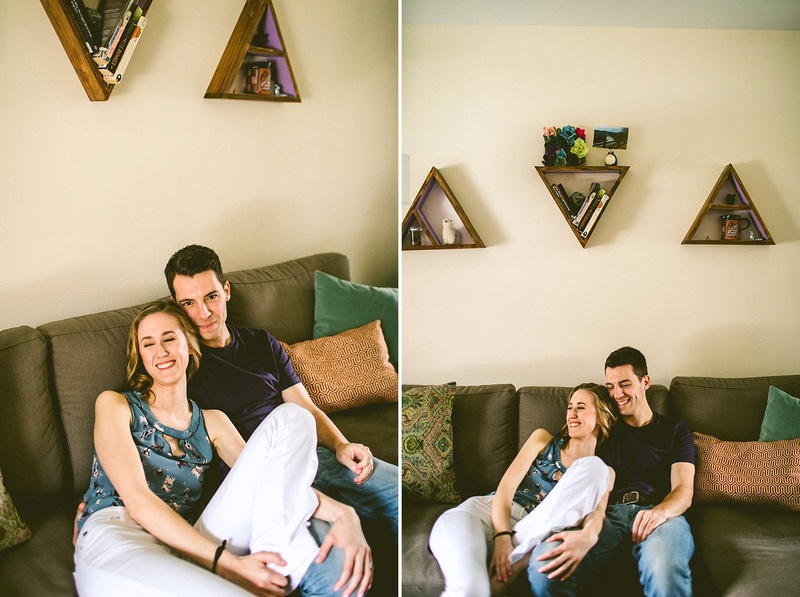 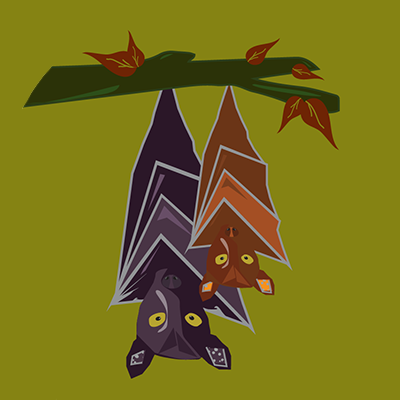 Together and separately, they’ve traveled a ton and been to a bunch of different countries. 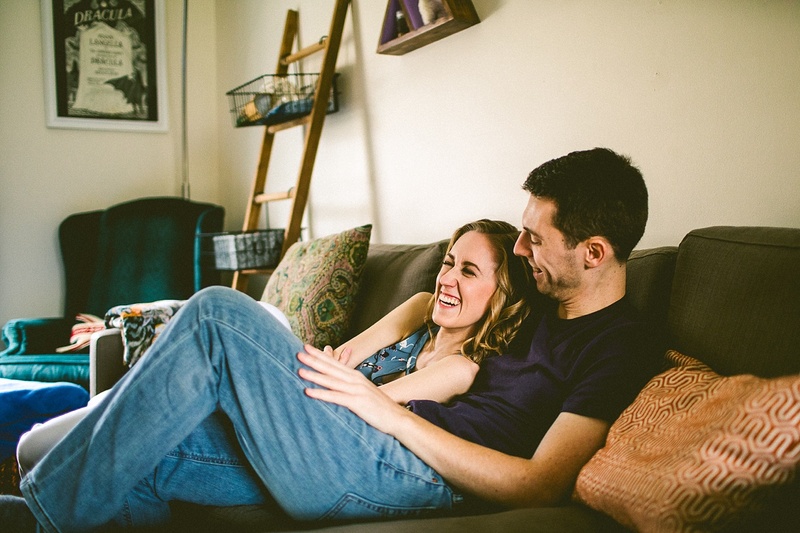 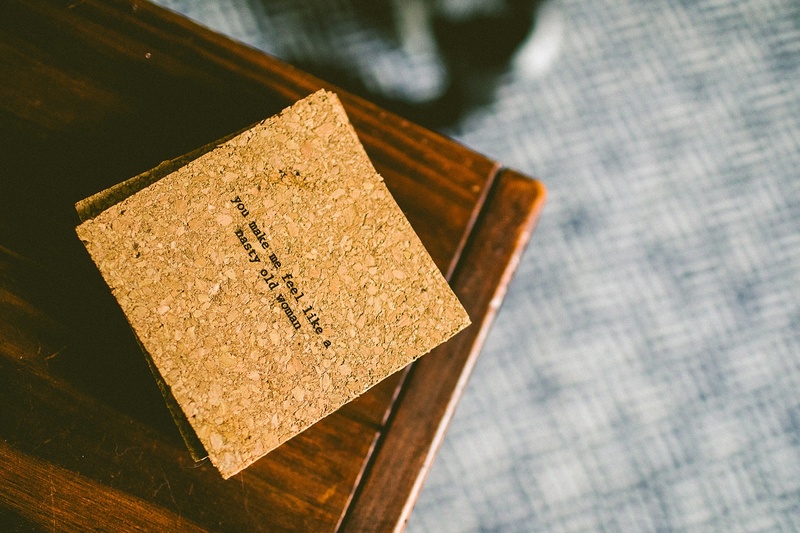 They’re pondering where their honeymoon might be, but I suggest that if they open a book, they can go anywhere. 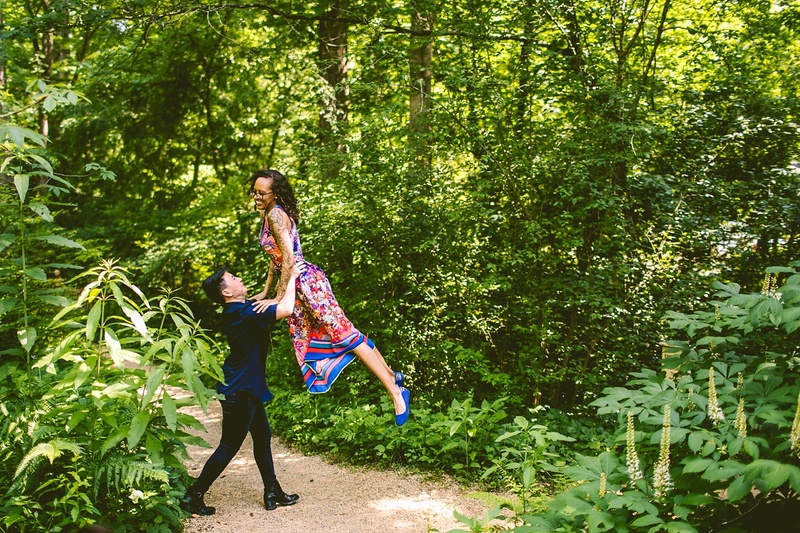 Fly twice has high as a butterfly, even.